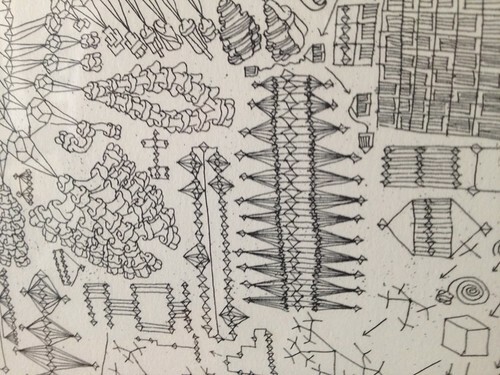 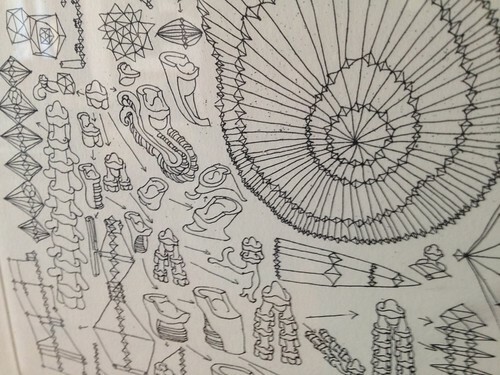 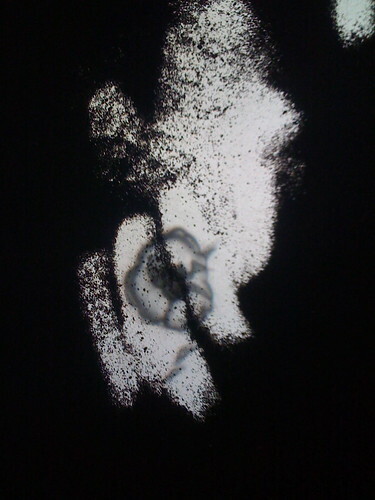 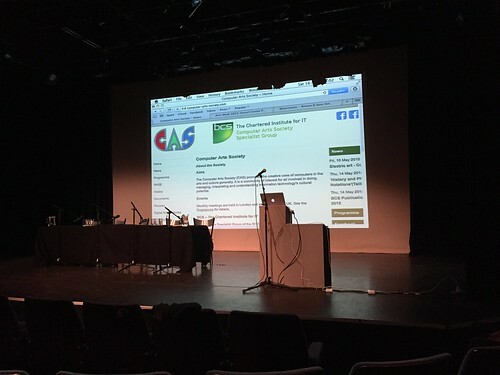 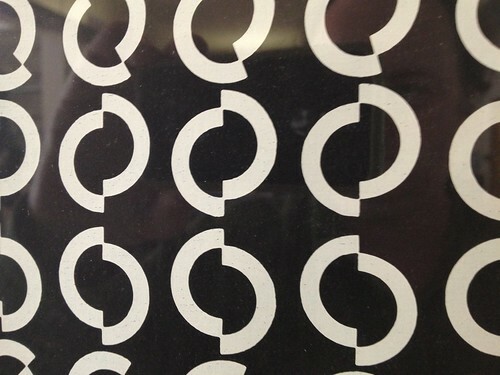 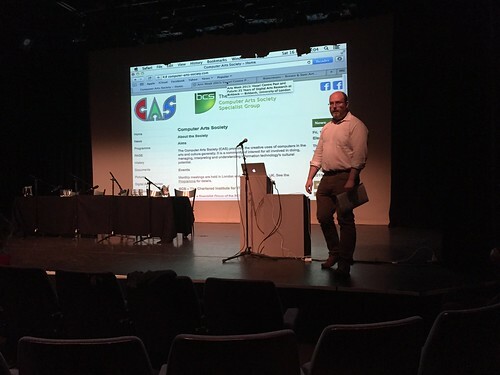 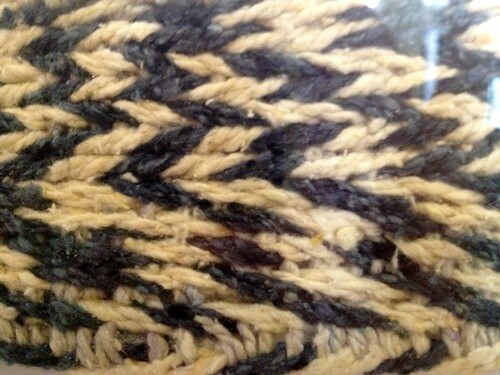 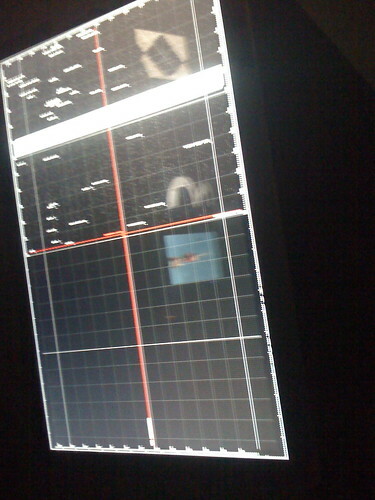 Materials from significant exhibitions and events in the UK involving CAS members and associates since the end of the Computer Art & Technocultures project in 2010. 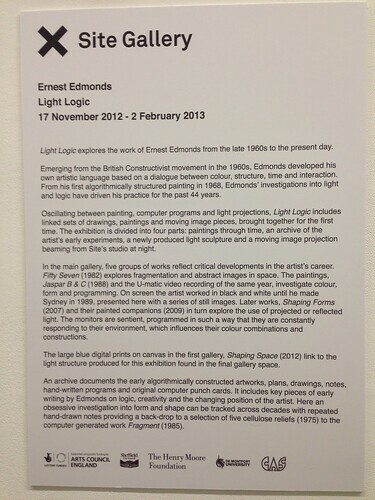 This is a work in progress and undoubtedly important exhibitions have been missed. 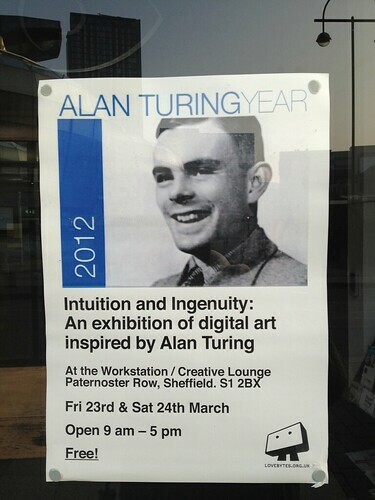 Please contact cas50@computer-arts-society.com to enquire about how to contribute. 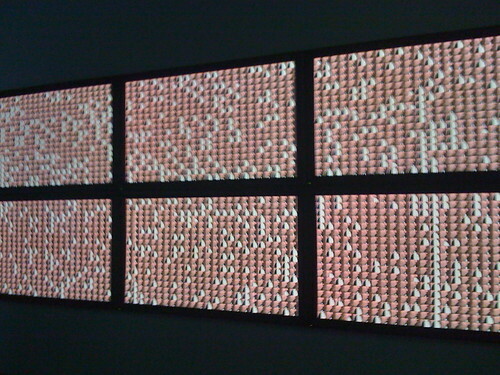 Curated by Genetic Moo, this show combined the work of the London Group with friends from the Computer Arts Society and Lumen Prize. 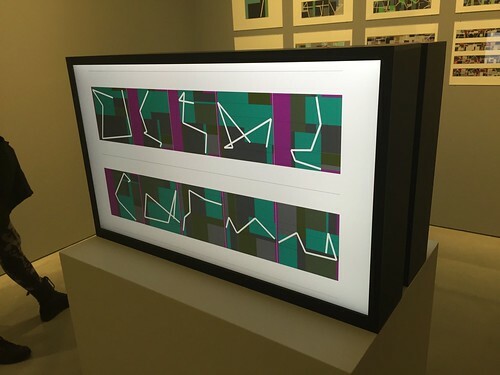 The one stipulation for the artworks in the show is that they generate their own light or could be illuminated by other works. 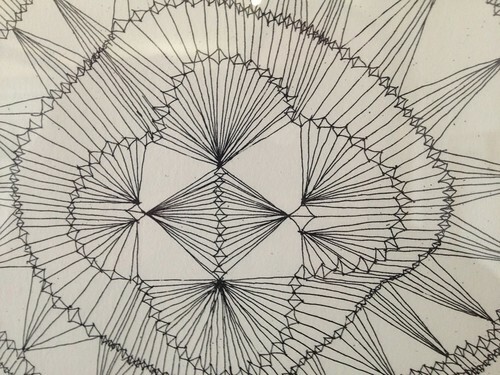 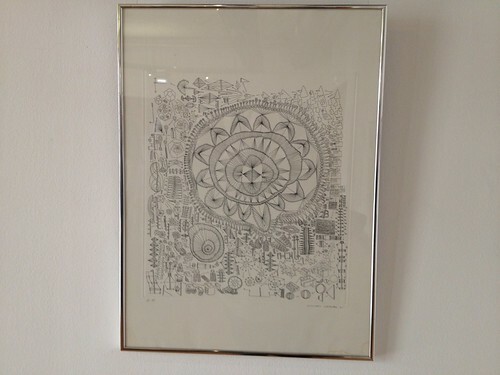 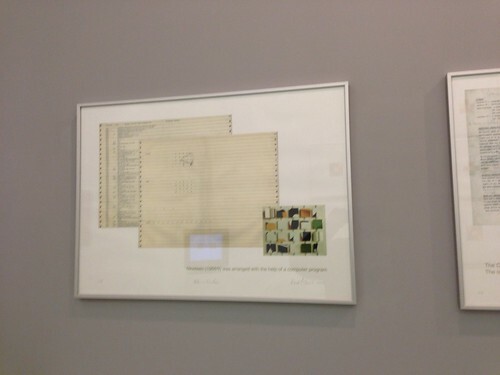 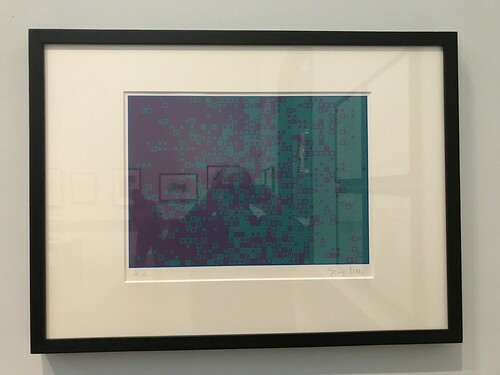 Since the 1960s, artists and programmers have used computers to create prints, drawings, paintings, photographs and digital artworks. 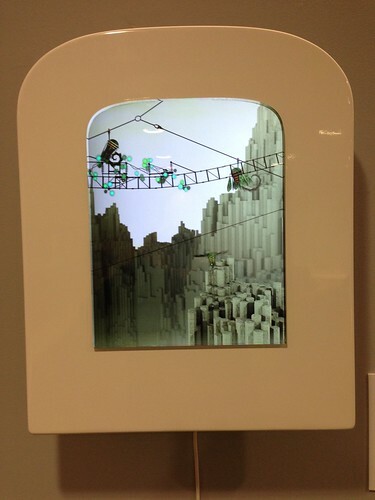 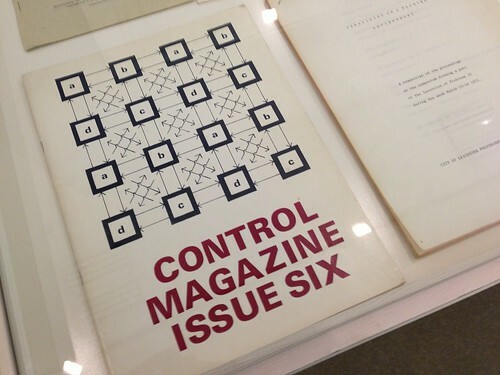 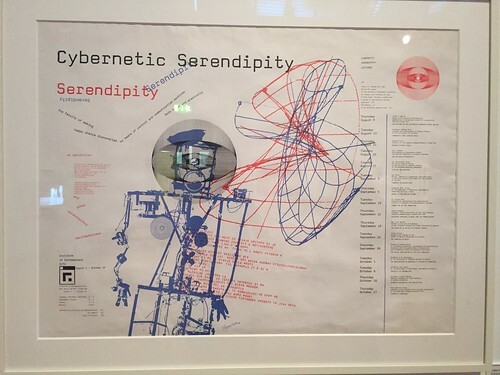 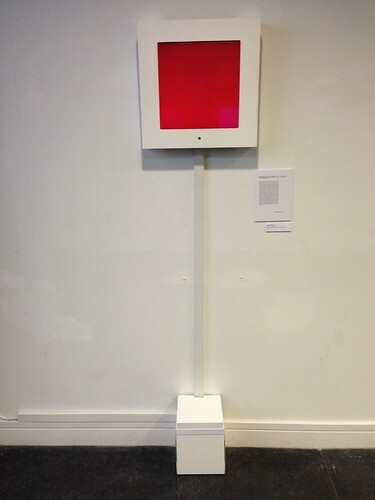 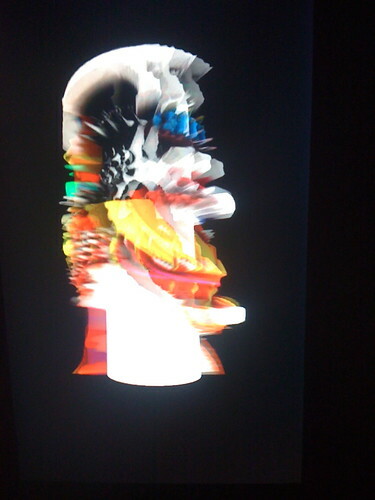 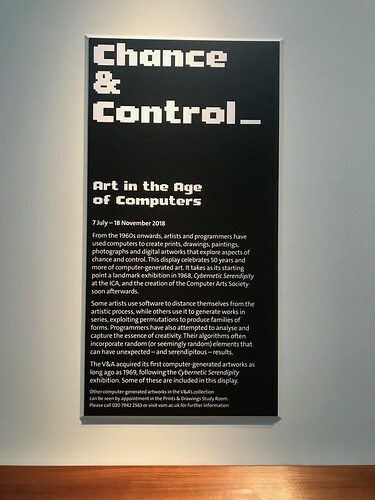 This display celebrates 50 years and more of computer-generated art, exploring aspects of chance and control. 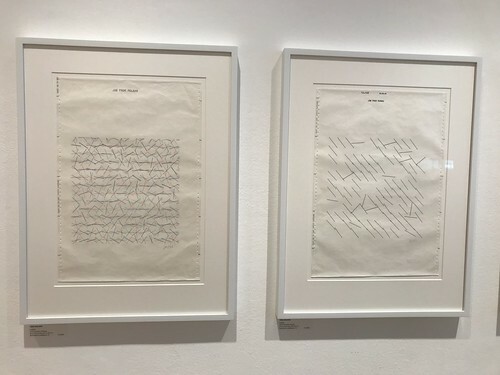 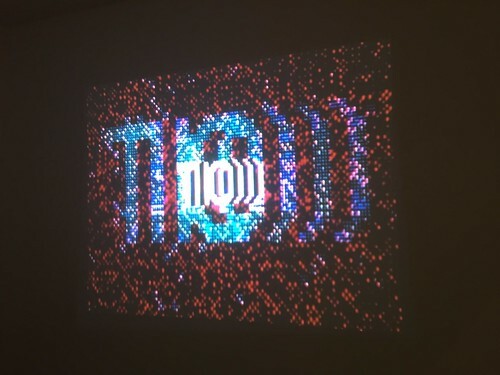 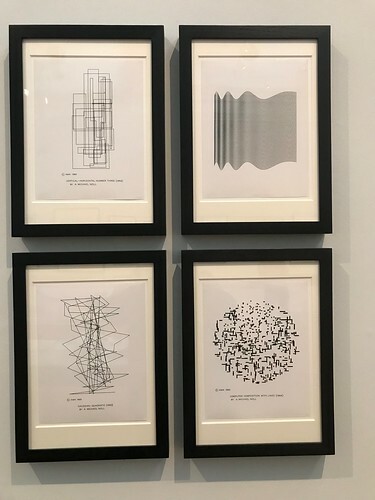 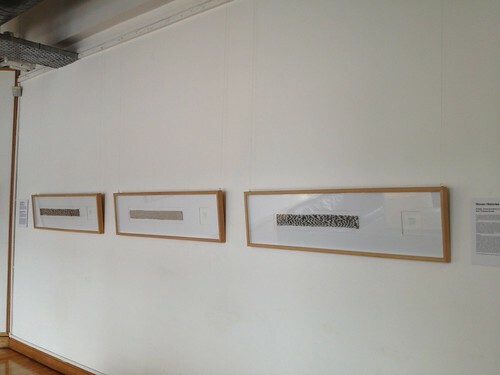 'Writing New Codes' presents three major pioneers of computer art – Waldemar Cordeiro (b. 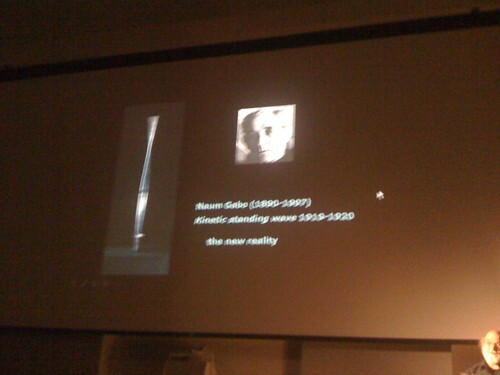 1925 Rome, Italy – d. 1973 São Paulo, Brazil), Robert Mallary (b. 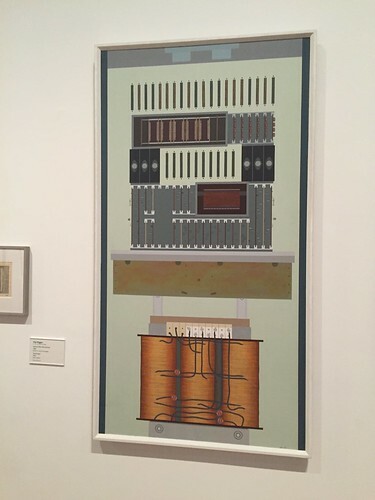 1917 Toledo, USA – d. 1997 Northampton, USA) and Vera Molnár (b.1924 Budapest, Hungary) from three different corners of the globe with early computer art from 1969 – 1977. 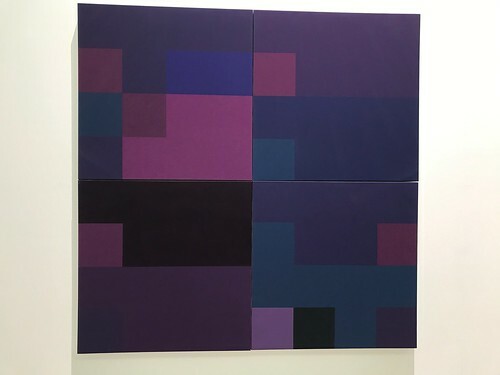 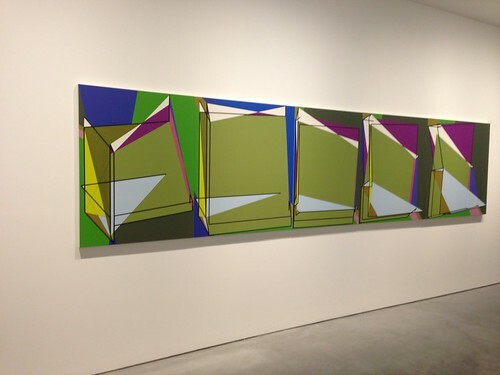 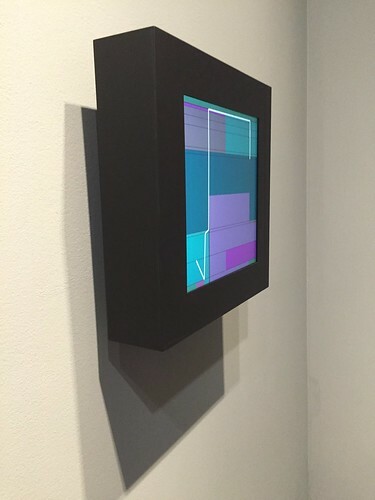 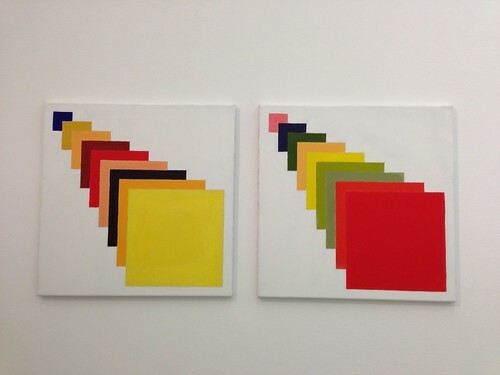 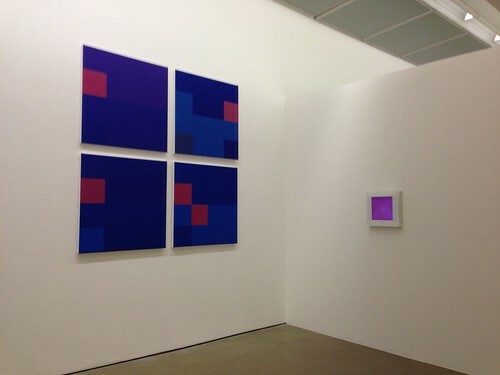 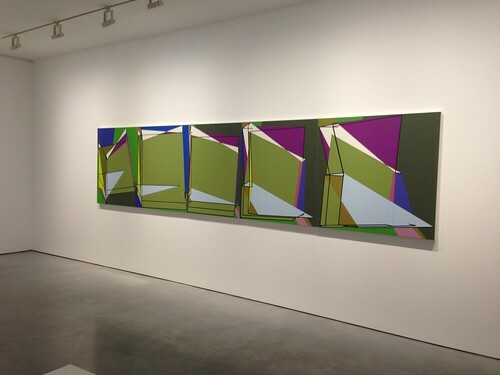 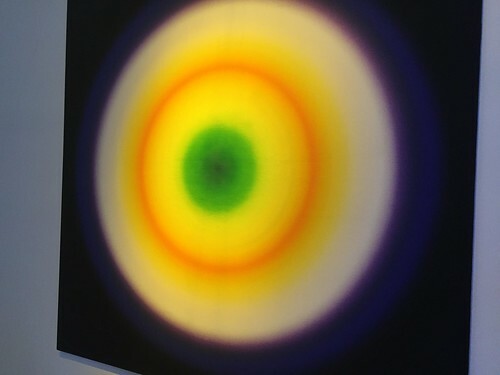 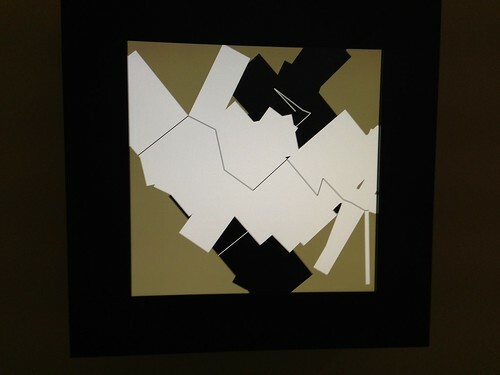 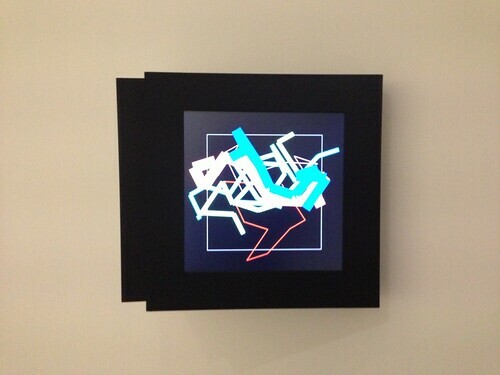 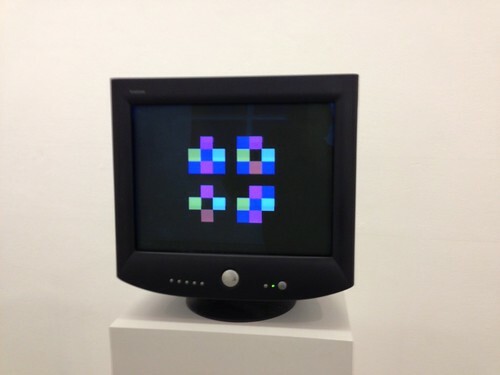 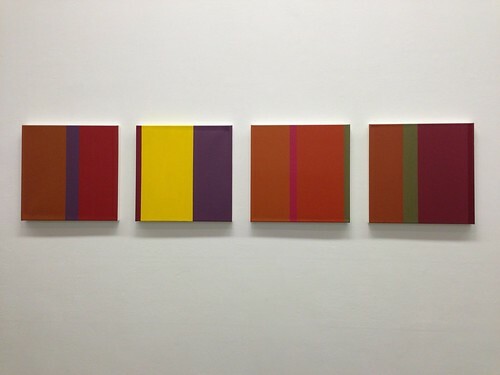 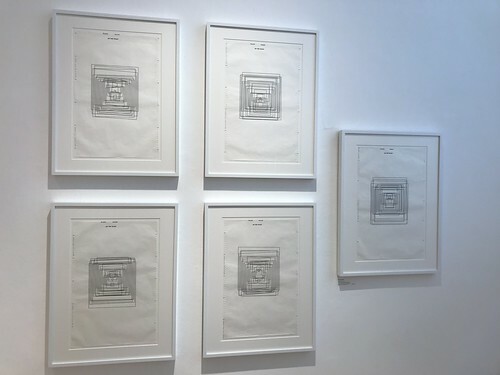 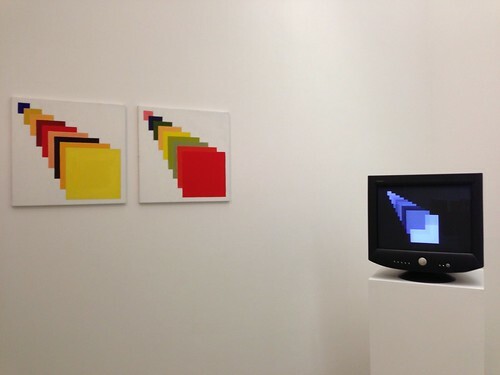 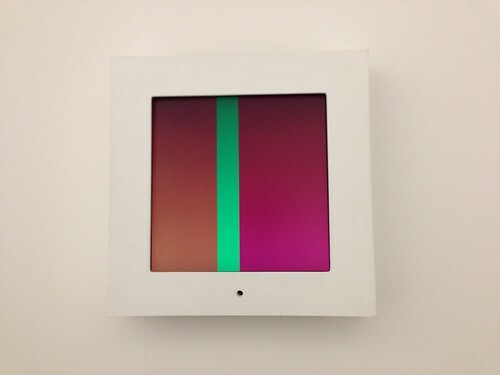 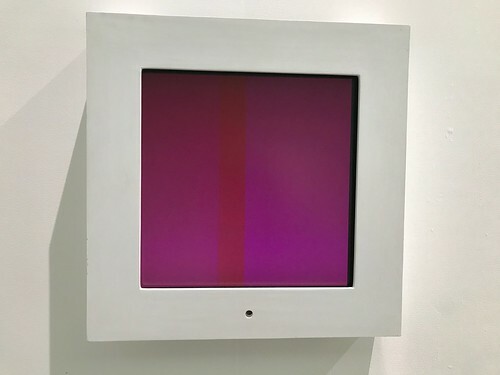 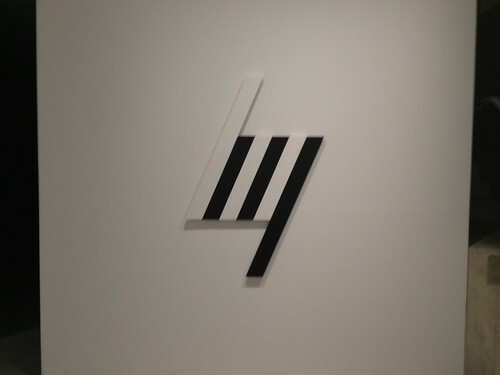 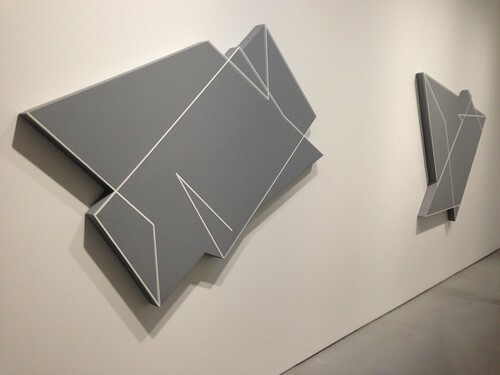 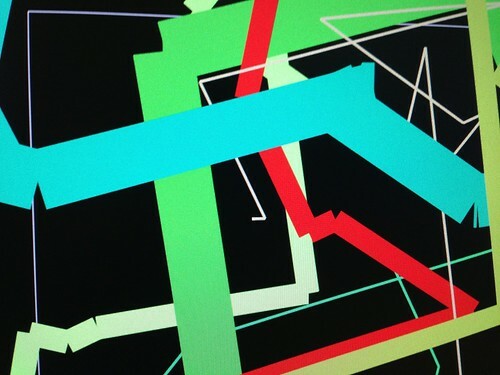 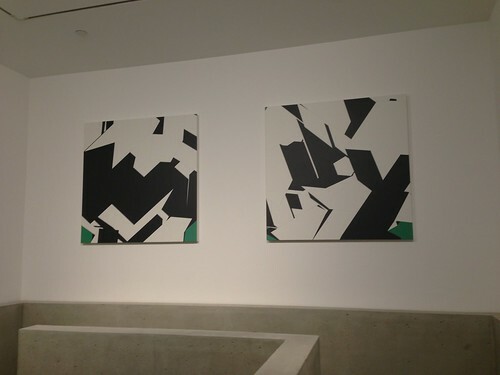 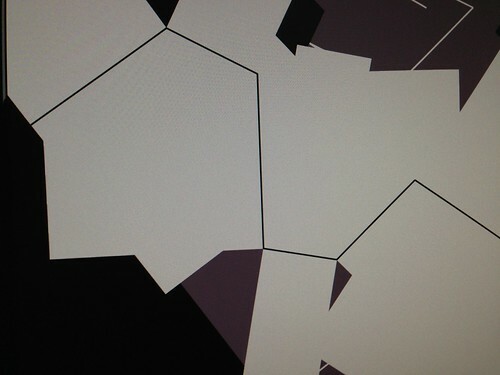 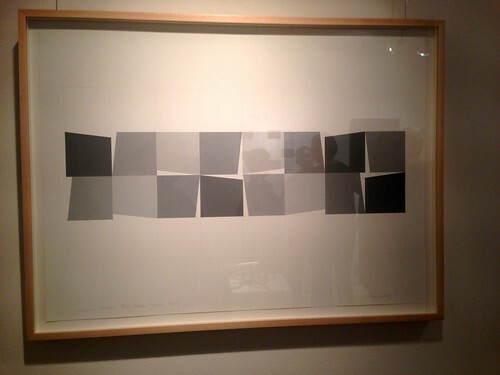 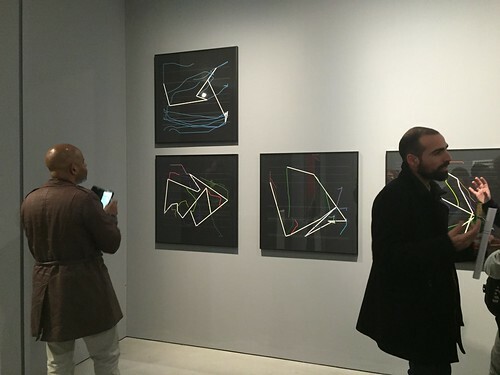 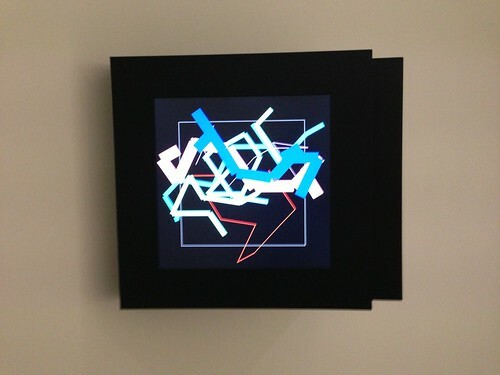 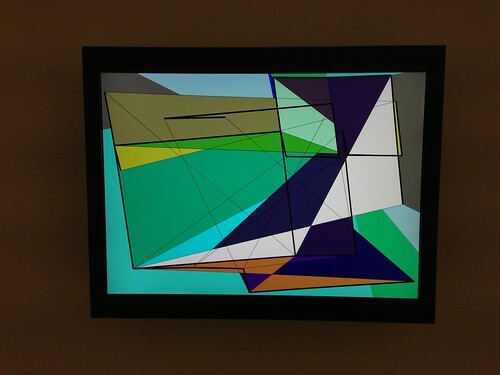 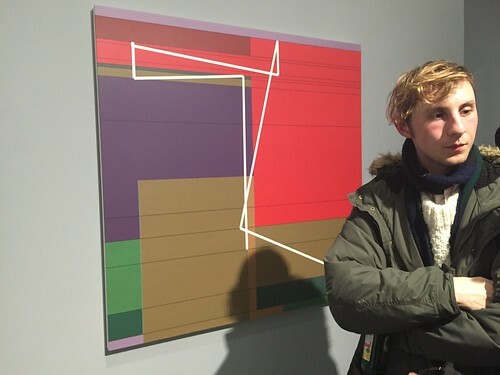 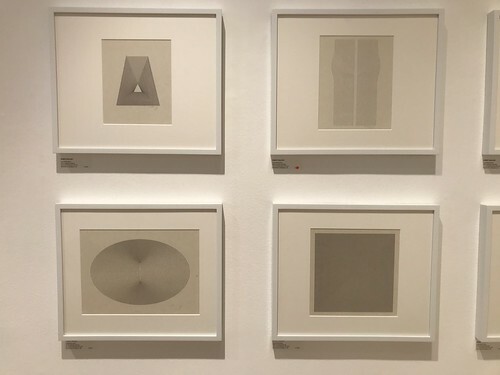 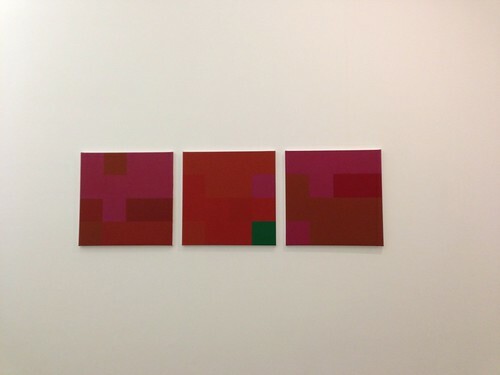 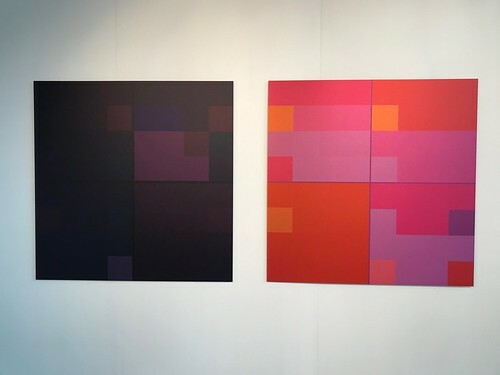 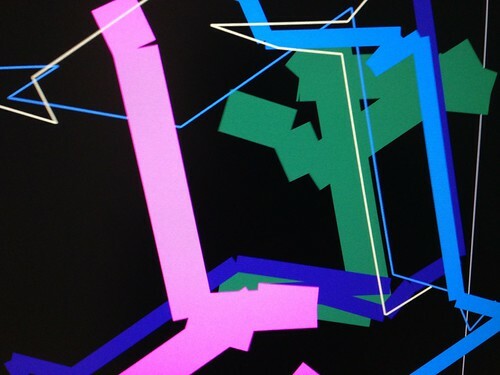 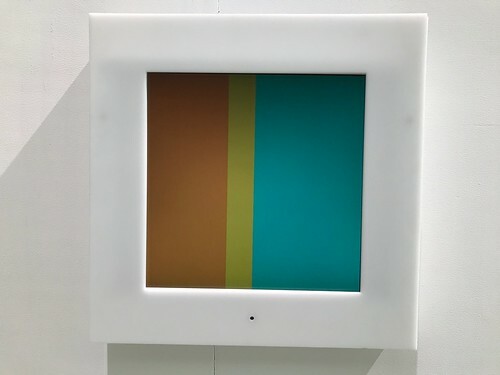 Although each has an original style and distinctive approach, influenced by aspects of Constructivism, Op Art, Systems Art and Conceptualism and Concrete art, with these works can be seen a similar modernist aesthetic and common interest in exploiting the unique capabilities inherent in the computer. 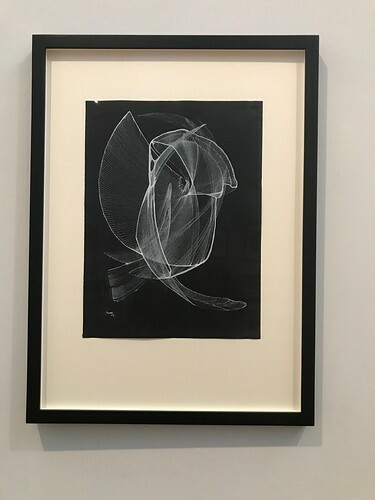 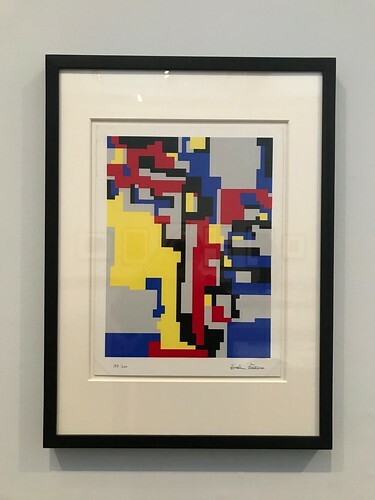 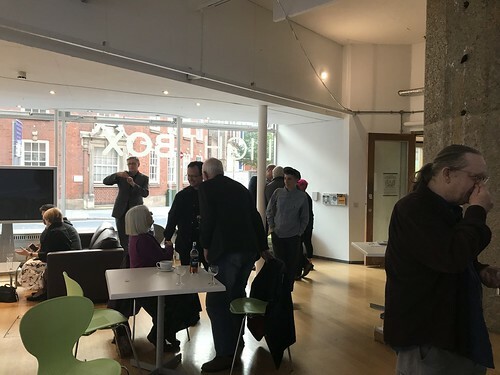 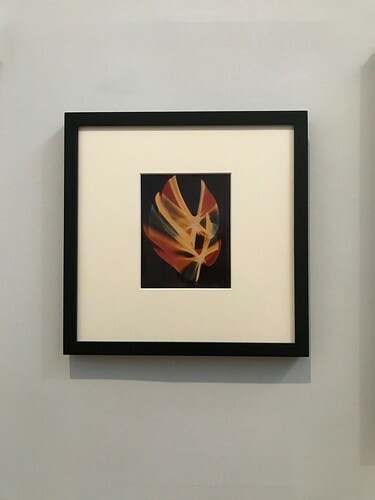 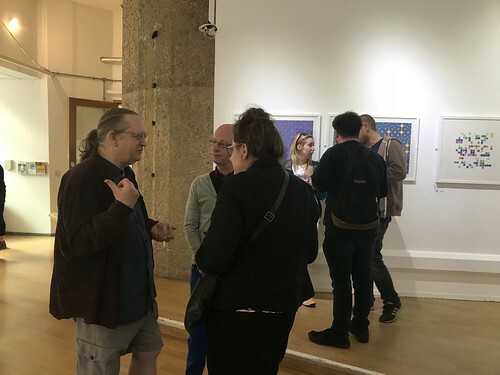 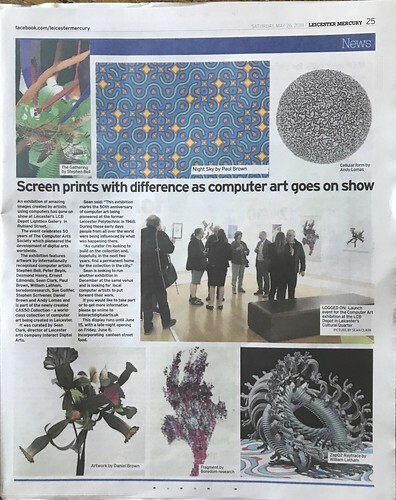 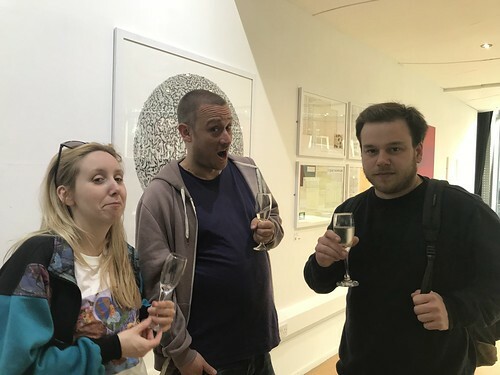 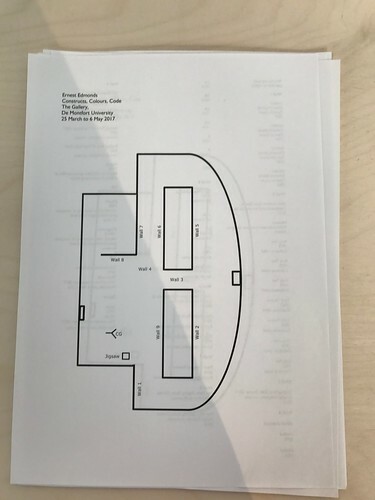 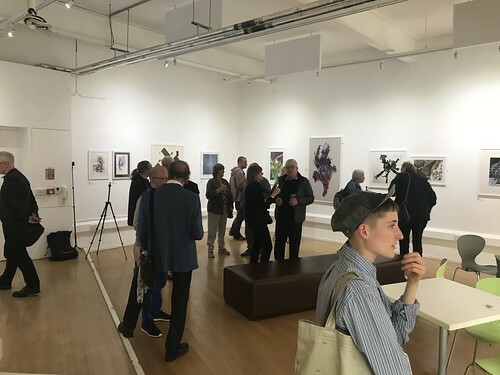 The exhibition features artwork by Stephen Bell, Peter Beyls, Desmond Henry, Ernest Edmonds, Sean Clark, Paul Brown, William Latham, boredomresearch, Sue Gollifer, Stephen Scrivener, Daniel Brown and Andy Lomas. 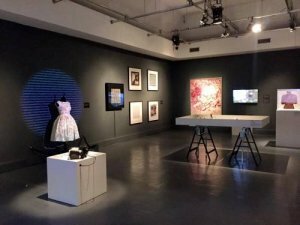 Technology is Not Neutral was a touring exhibition that targets the frequent under-representation of the achievements of women in the field of digital art by highlighting the contribution of female artists in shaping what digital art is today. 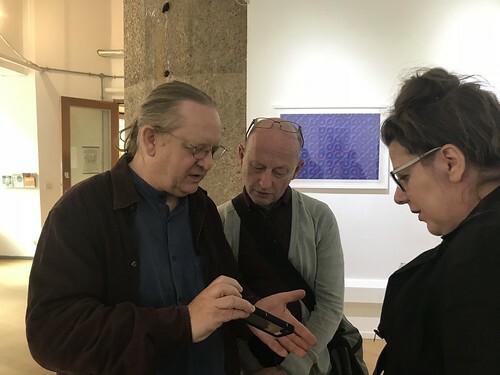 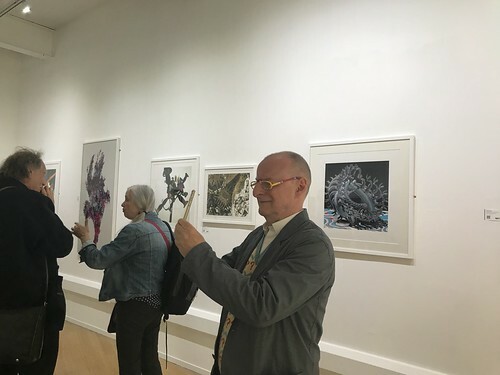 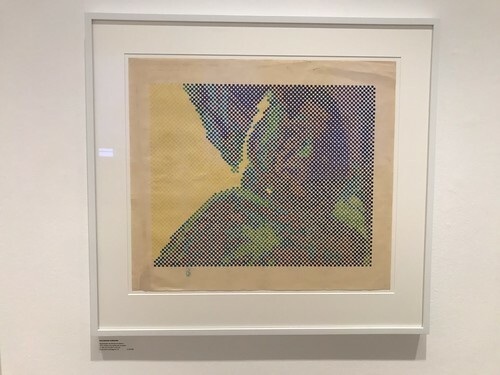 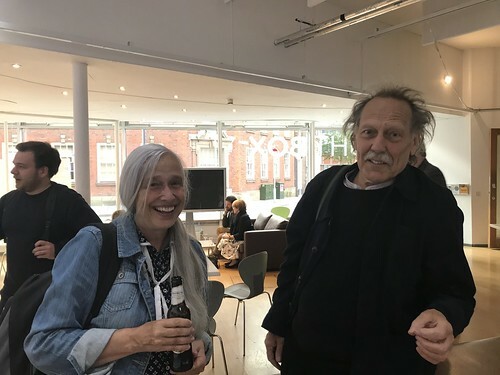 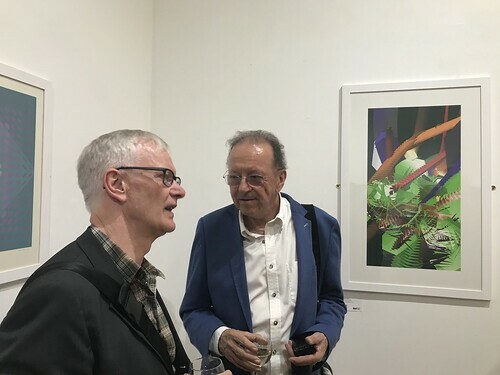 A major retrospective exploring the past 50 years of imaginative work created by pioneering digital artist Ernest Edmonds at The Gallery at De Montfort University Leicester (DMU) later this week. 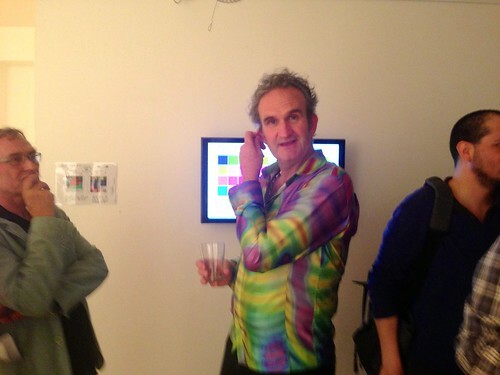 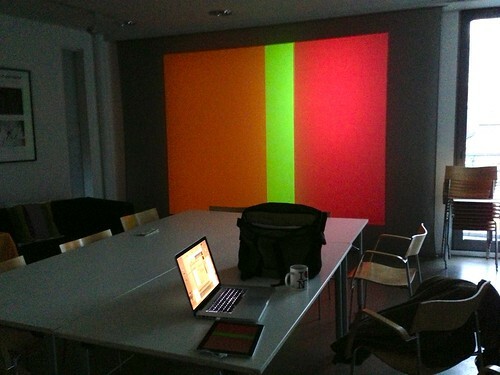 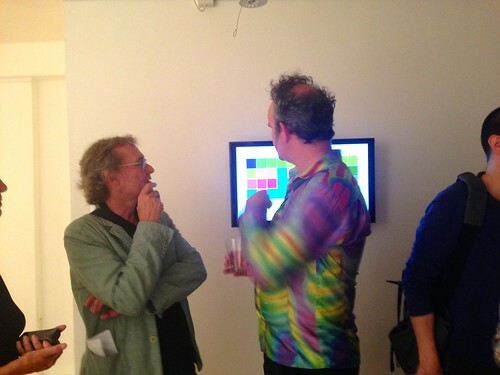 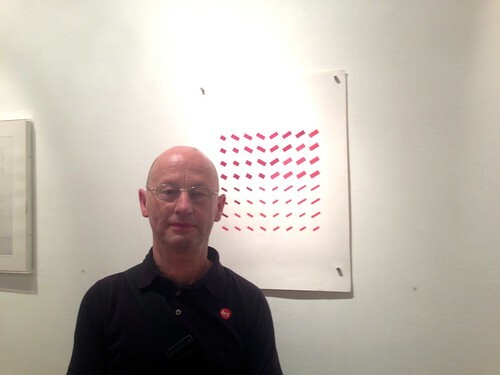 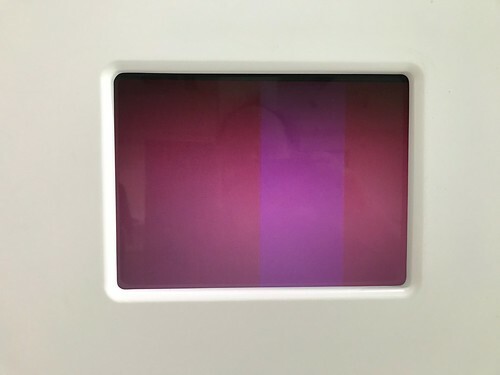 The innovative artist, who is the director of the Institute of Creative Technologies at DMU, uses computers and rule-based systems in imaginative ways to create his work with a particular focus on colour, time and the relationship between the artwork and the viewer. 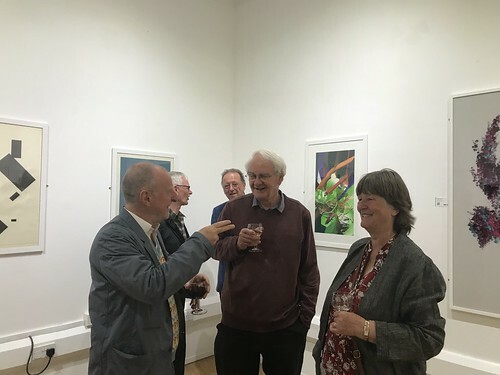 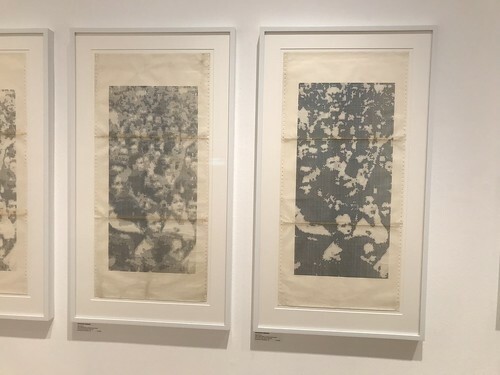 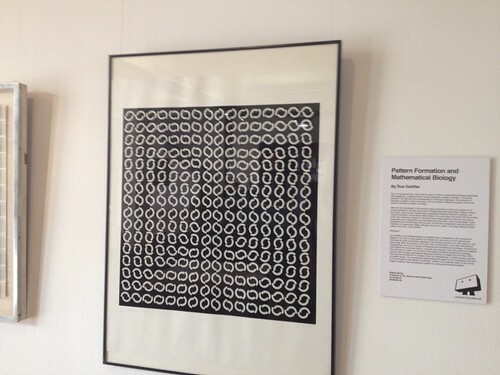 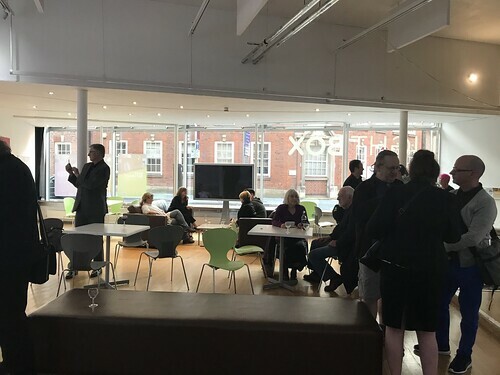 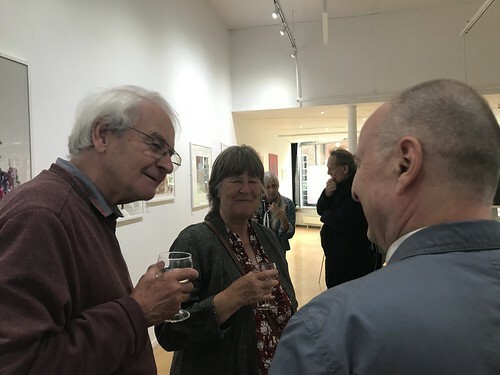 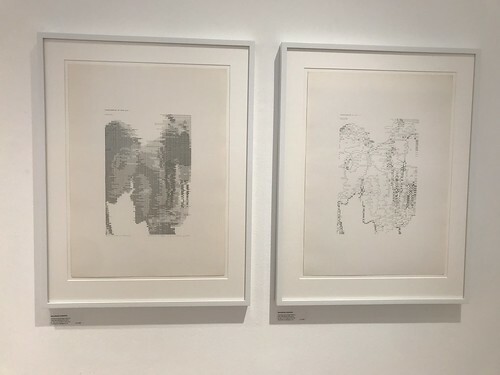 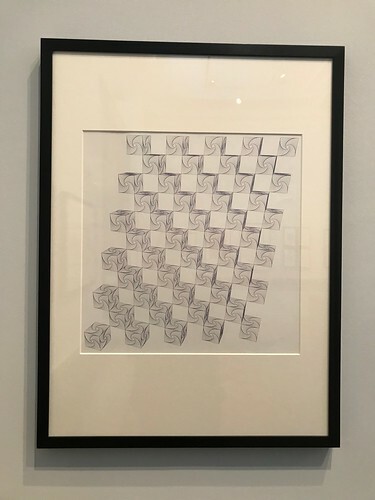 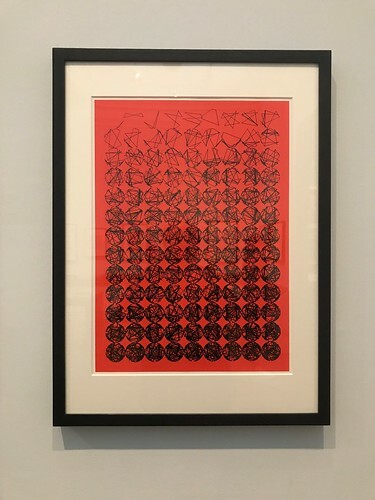 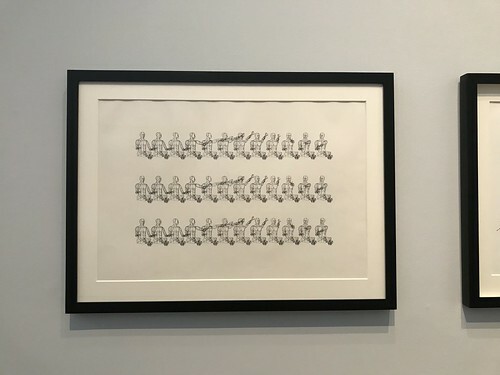 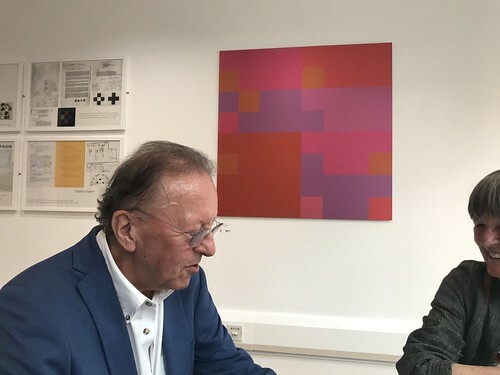 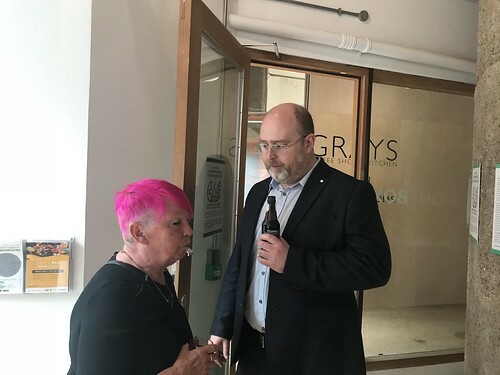 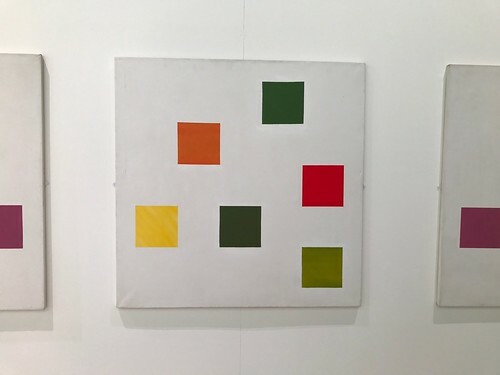 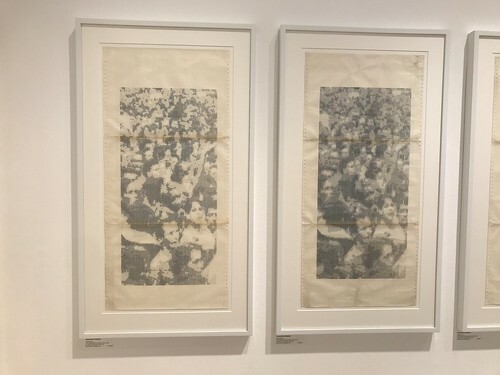 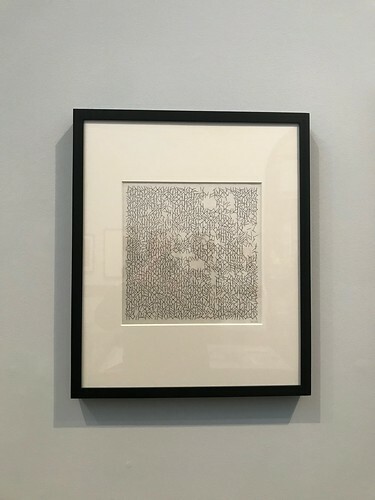 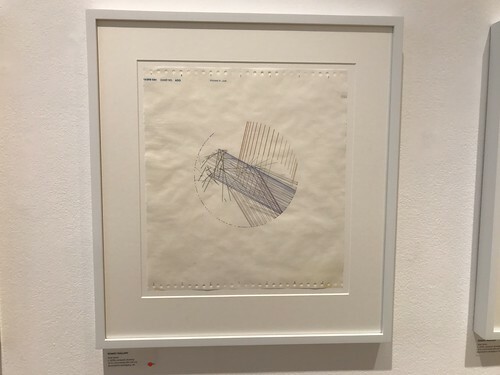 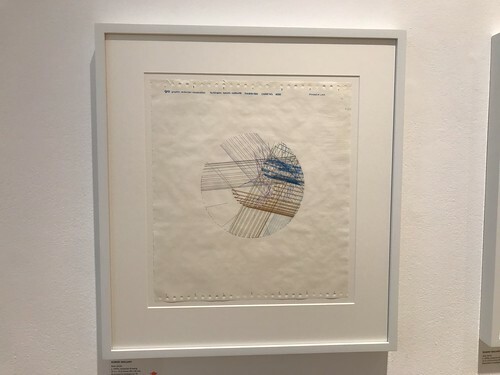 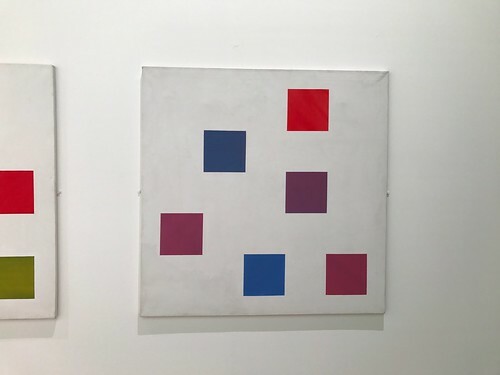 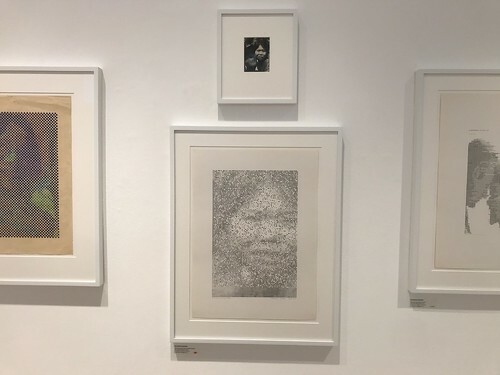 As well as showing half-a-century of his work, the exhibition marks the 50th anniversary of Professor Edmonds starting work as a research assistant at DMU – then Leicester Colleges of Art and Technology – where he is working again after a long break. 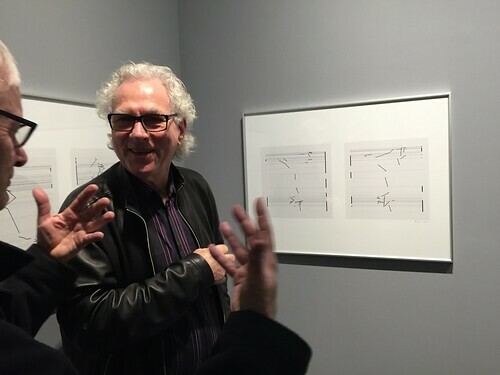 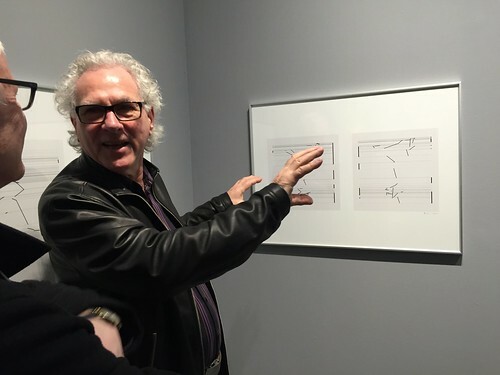 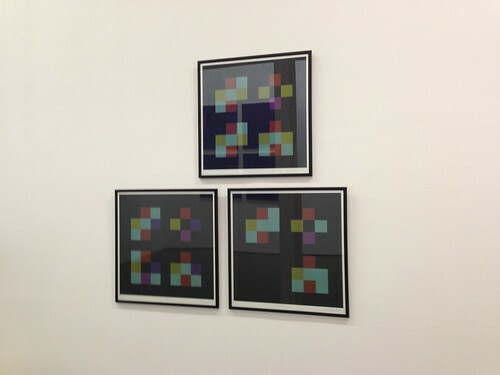 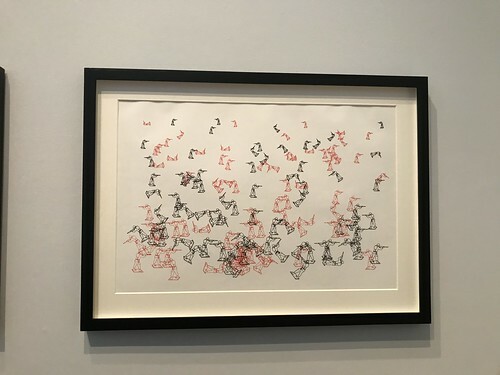 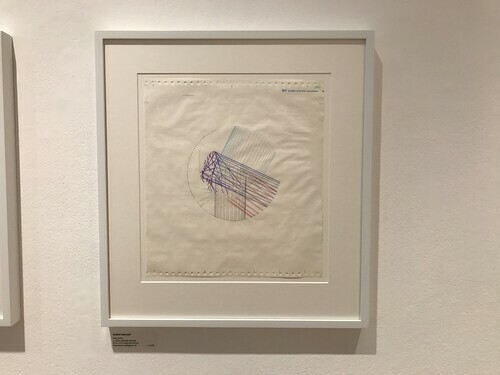 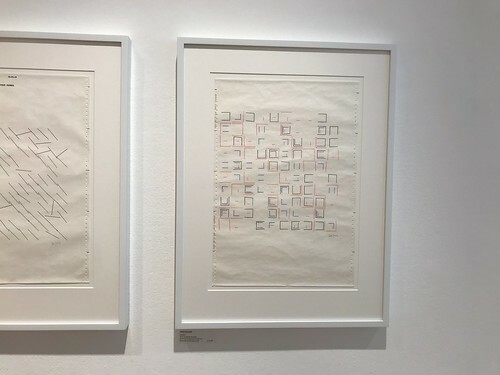 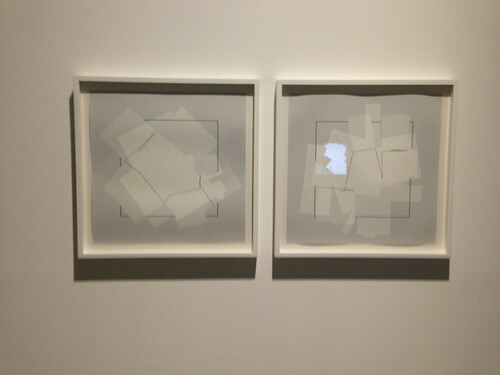 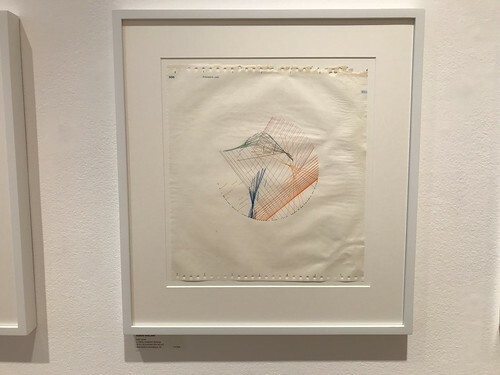 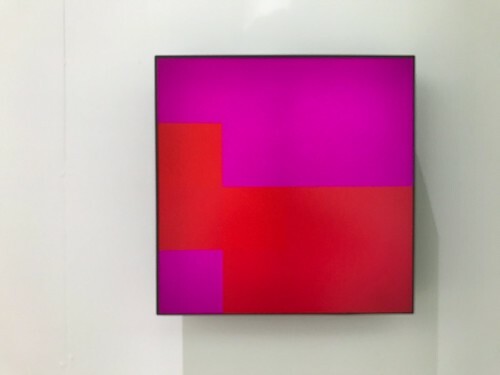 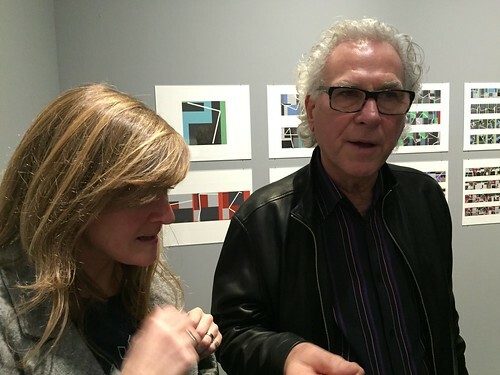 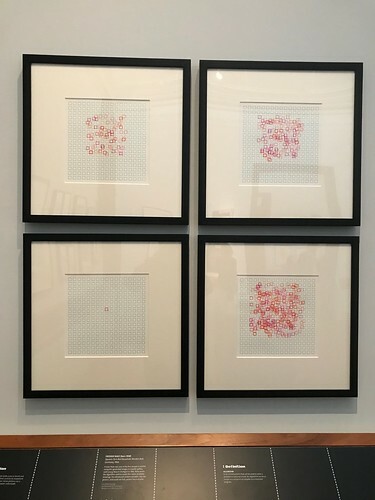 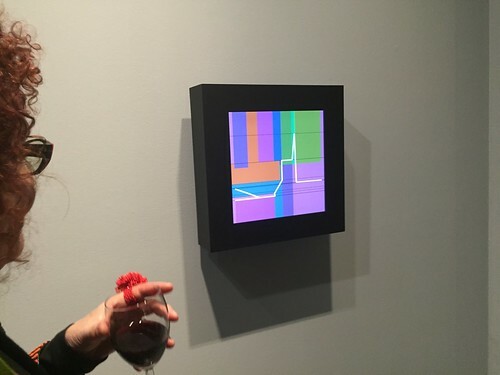 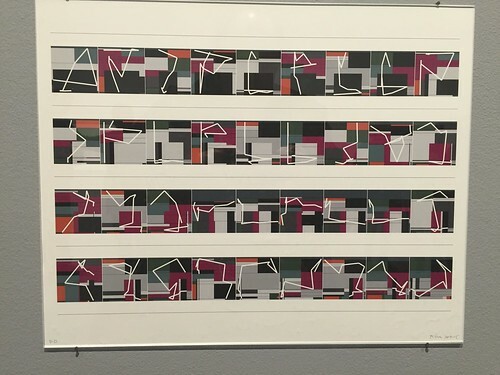 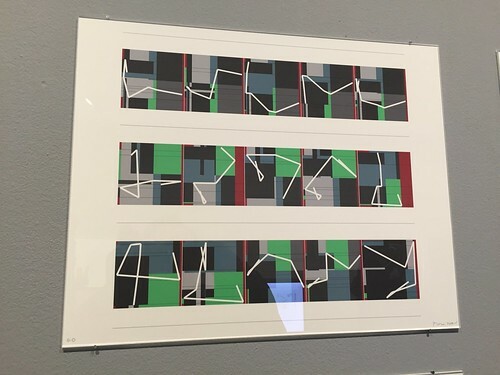 For his second exhibition at Carroll/Fletcher, digital art pioneer Manfred Mohr presented a series of new pieces mapping his formal investigations of theoretical space in generative screen-based works, drawings, and inkjet paintings. 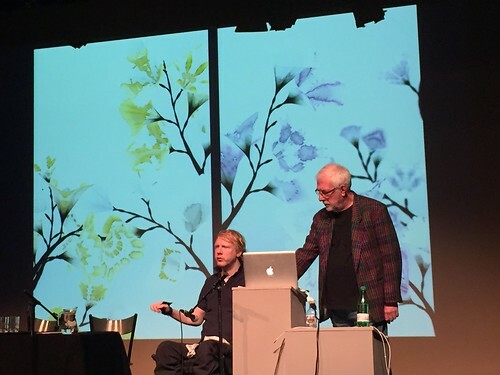 Father and son Paul Brown and Daniel Brown work with computers as their primary medium for making art. 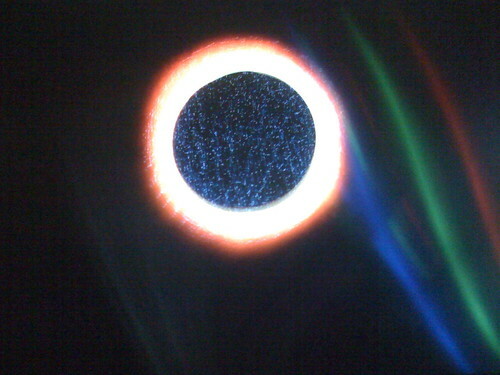 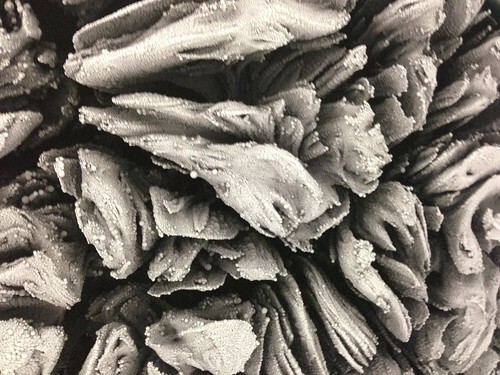 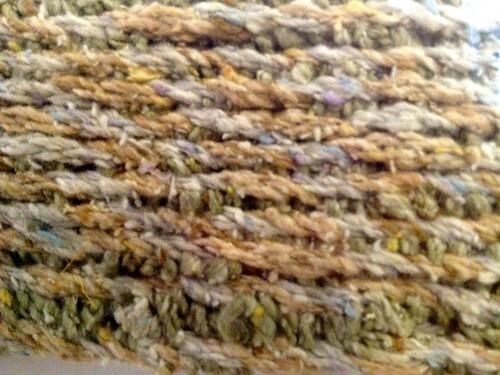 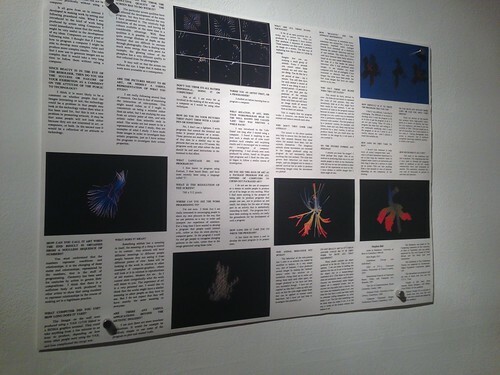 They have a shared interest in manipulating media to create beautifully evolving artificial life-forms. 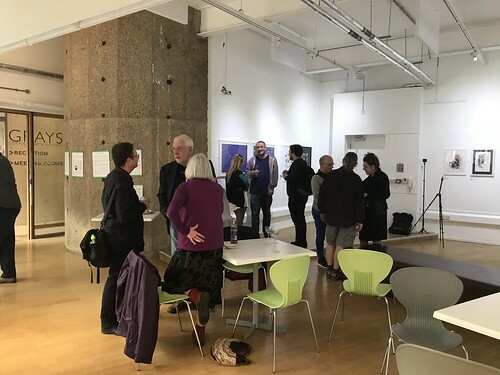 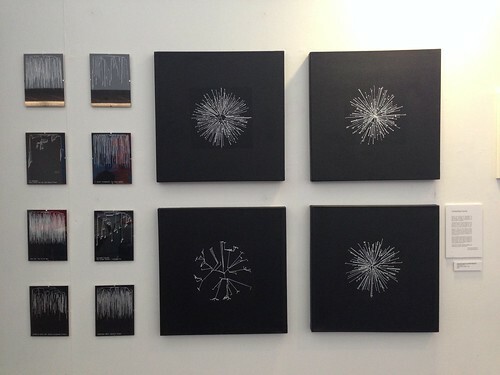 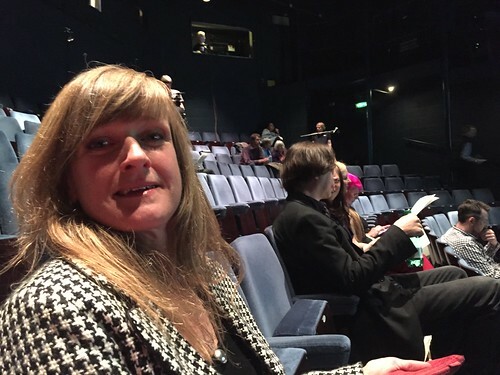 Watermans Arts Centre in Brentford, West London will be the venue for their first ever joint exhibition – Art That Makes Itself – from 31 March – 31 May 2015. 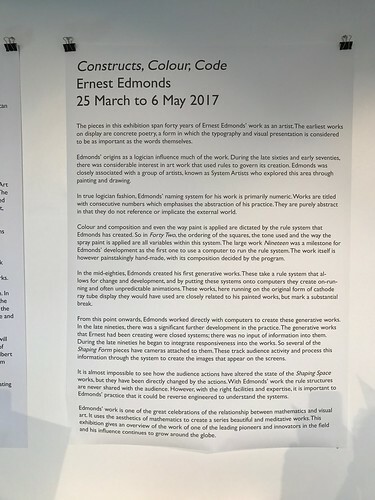 This exhibition was Curated by Ernest Edmonds and presented 50 years of British art that is generated from strict procedures. 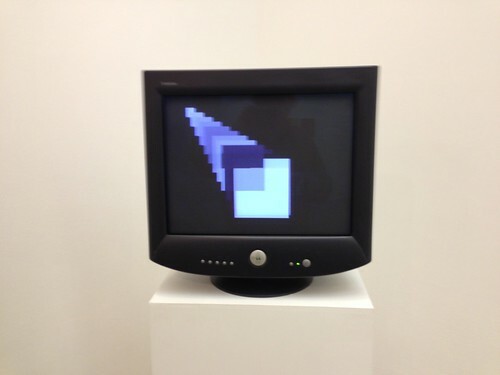 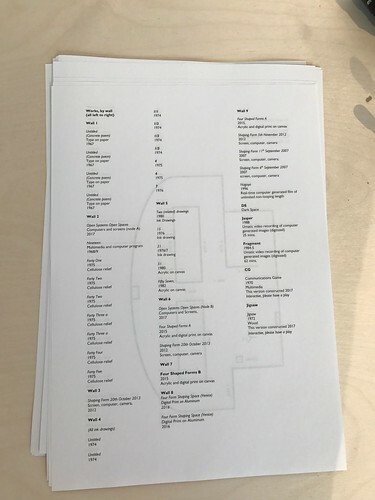 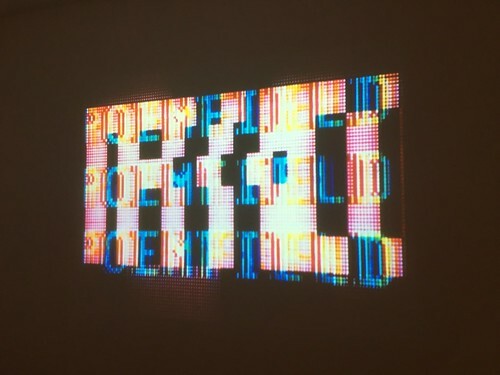 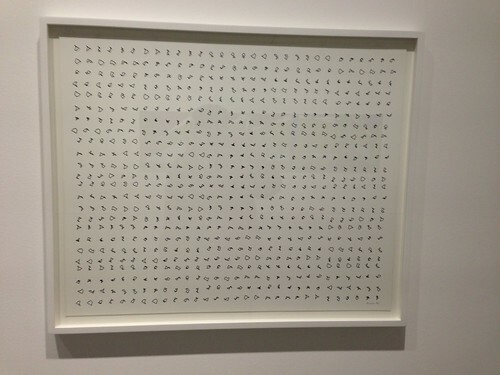 The artists featured make their work by following rules or by writing computer programs. 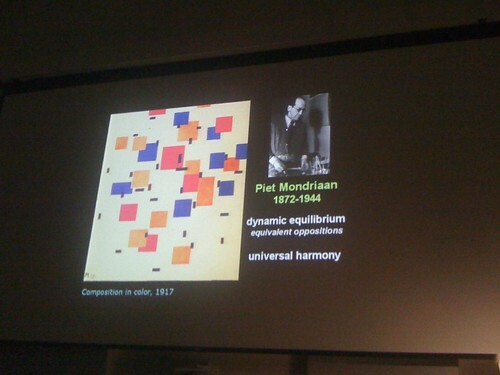 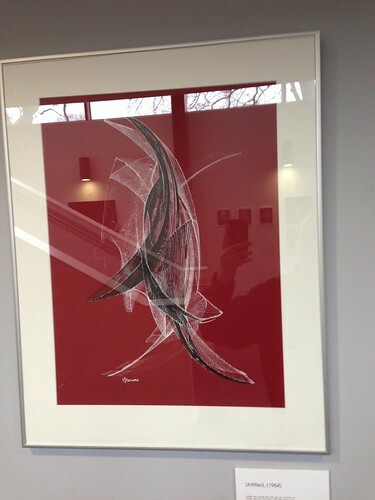 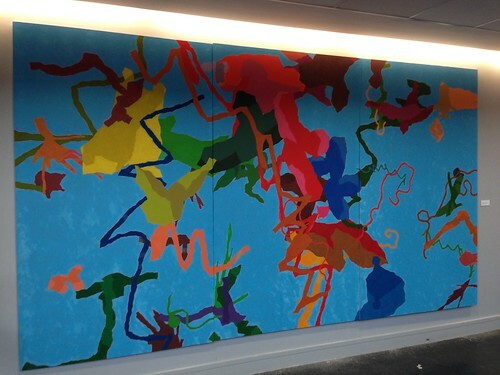 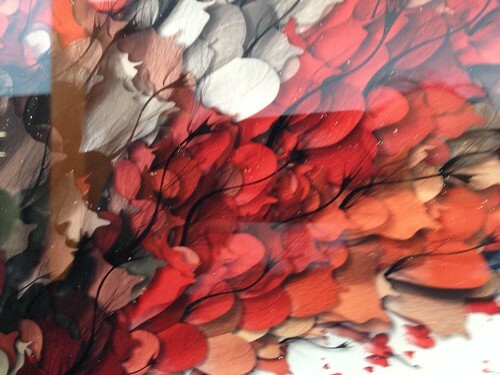 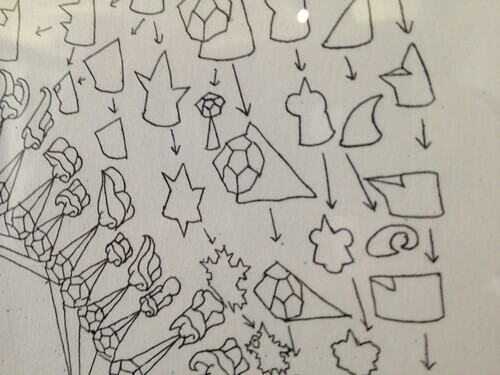 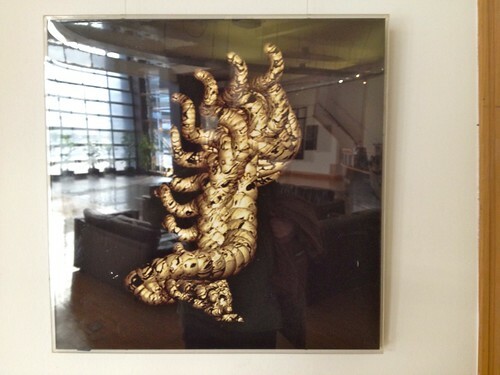 They range from system-based paintings and drawings to evolving computer generated images. 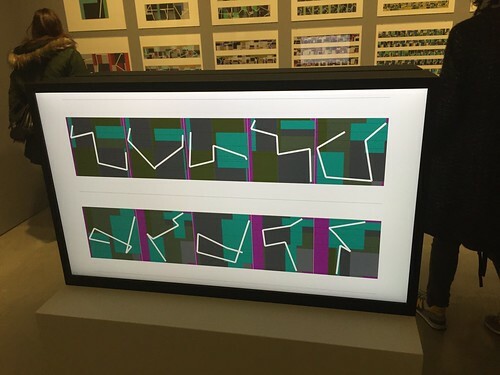 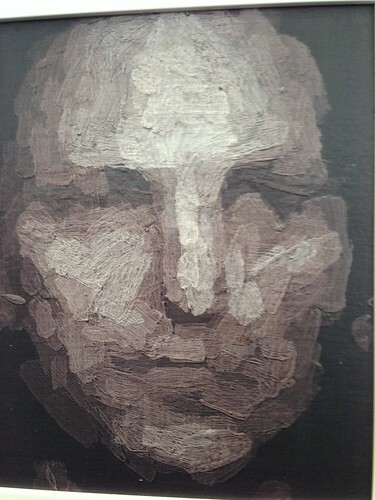 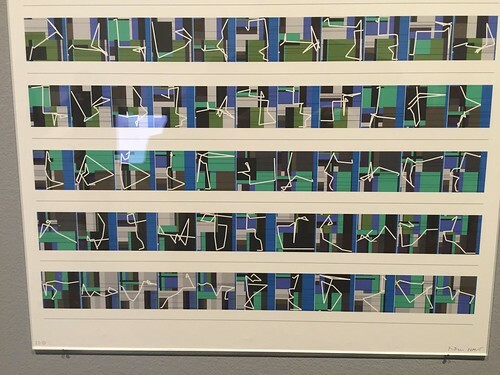 This art exhibition was organised as part of a convention (AISB50) commemorating both 50 years since the founding of the society for the study of Artificial Intelligence and the Simulation of Behaviour (the AISB) and sixty years since the death of Alan Turing, founding father of both Computer Science and Artificial Intelligence. 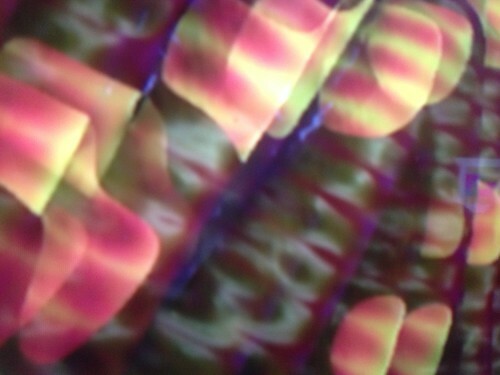 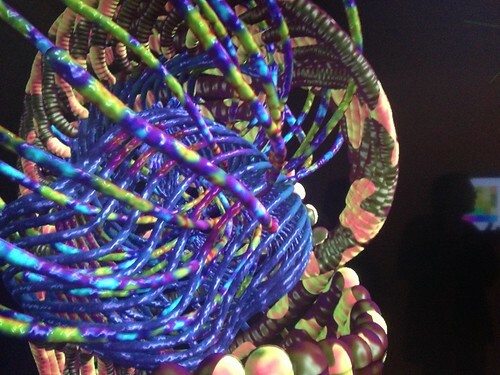 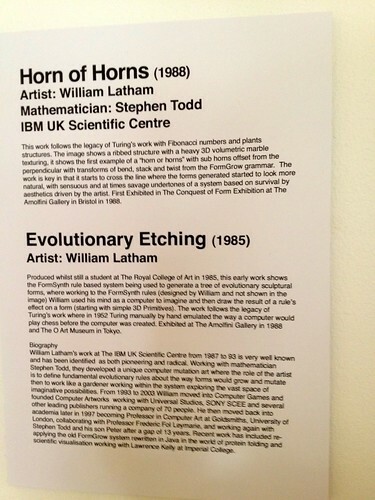 William Latham was one of the first UK artists in the 80's to create computer art, and he rapidly gained an international reputation as a pioneer in the field. 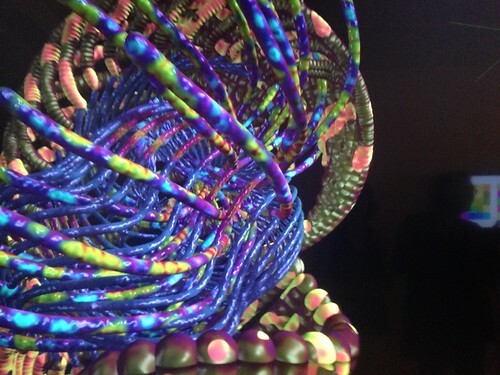 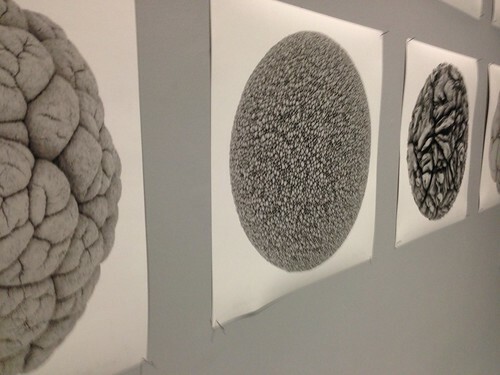 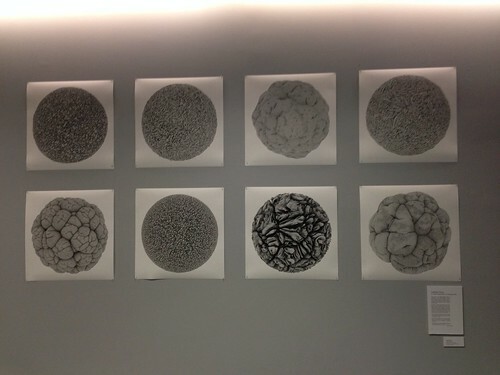 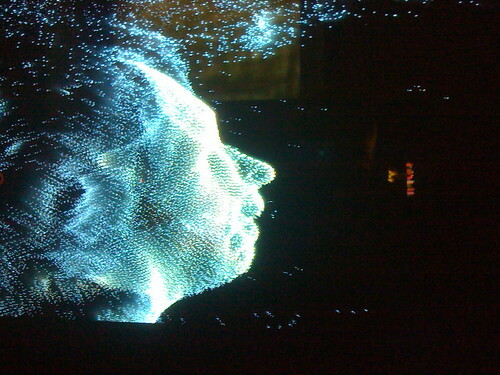 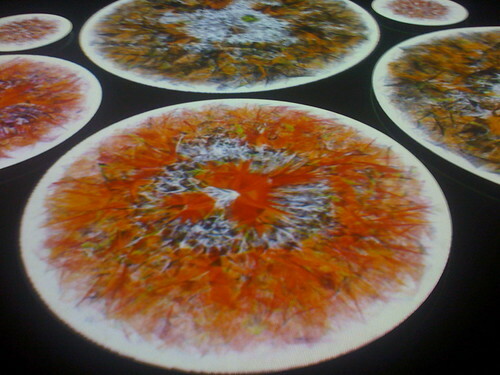 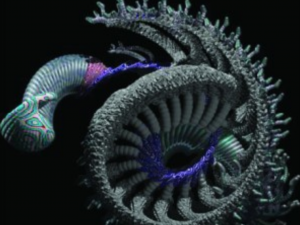 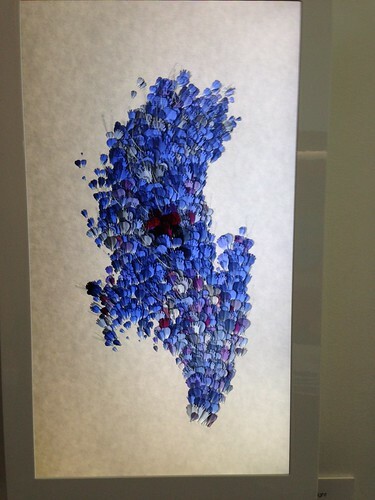 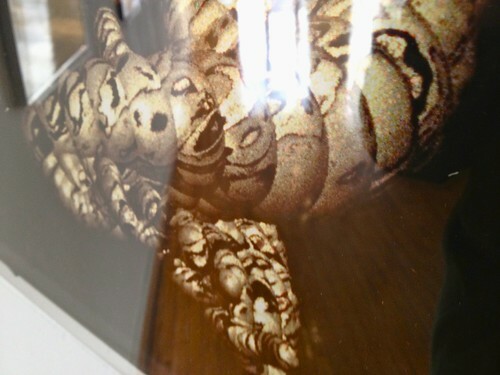 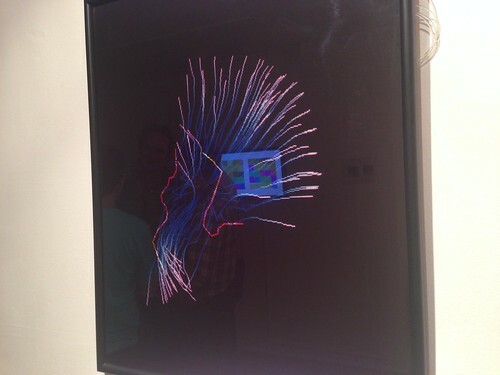 His work blends organic imagery and computer animation, using software modelled upon the processes of evolution. 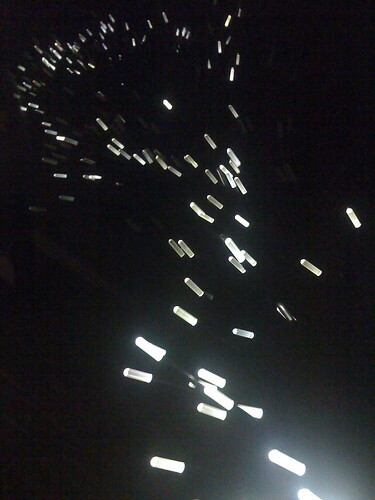 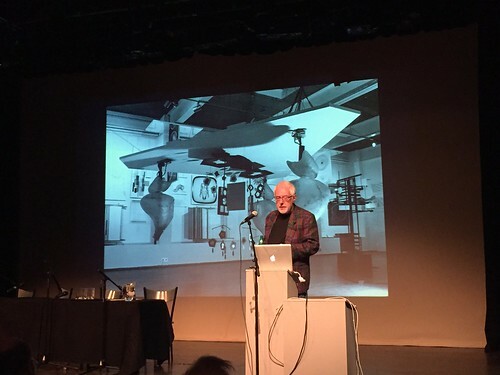 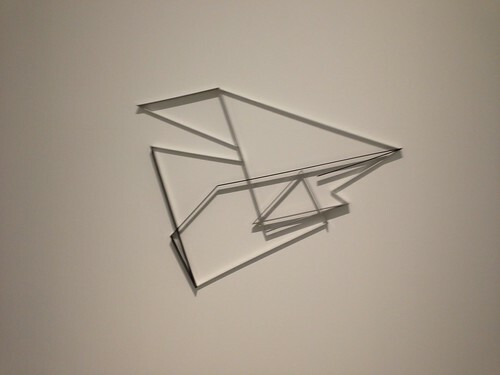 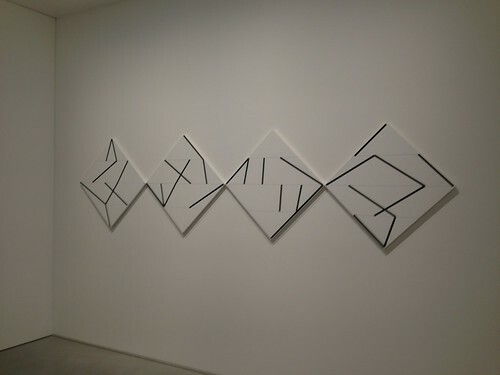 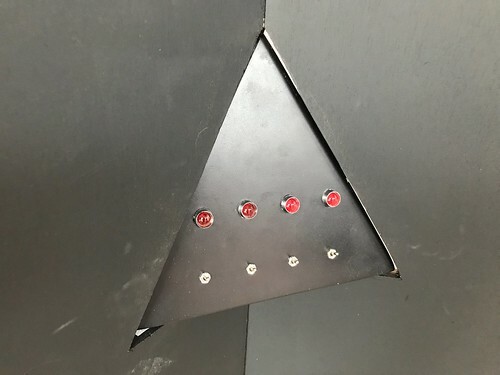 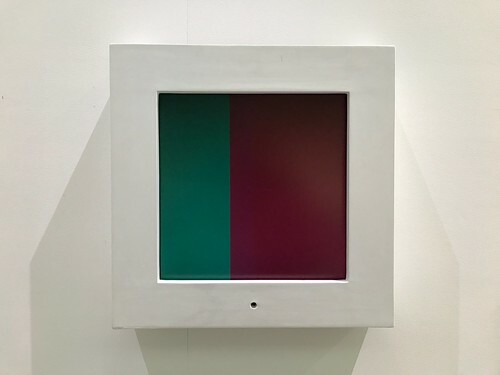 A pioneer of computer generated art in the 1960s, and now creating generative sculptural light installations, Edmonds' work references minimalist constructivism alongside a life-long interest in chance and change. 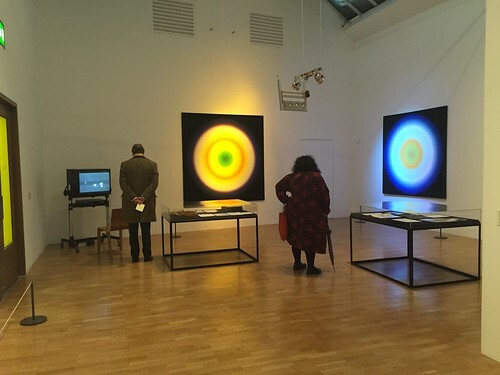 Exploring how new technologies produce new relations between artists, audiences and things, Light Logic marks the first UK solo exhibition of the artist for a decade. 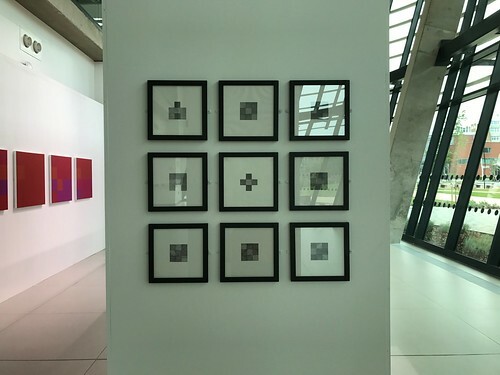 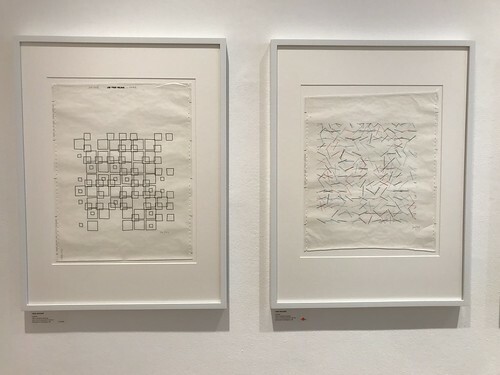 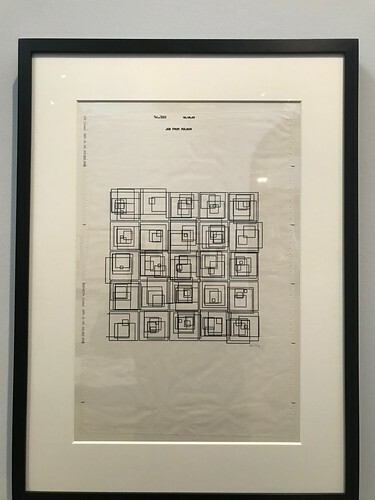 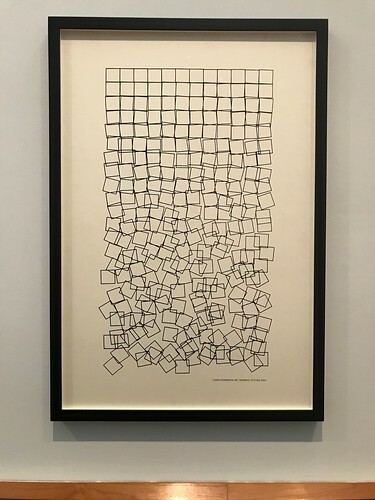 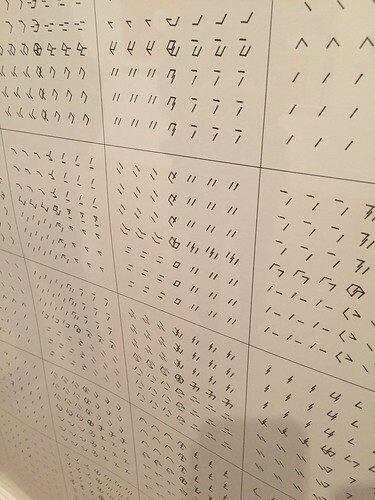 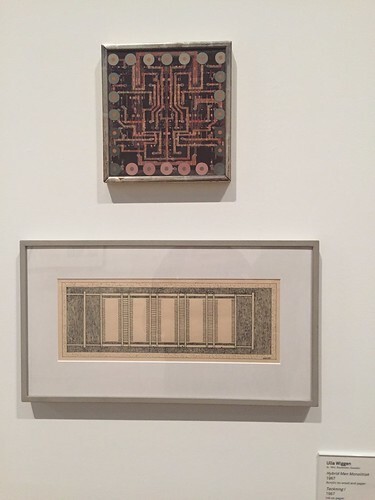 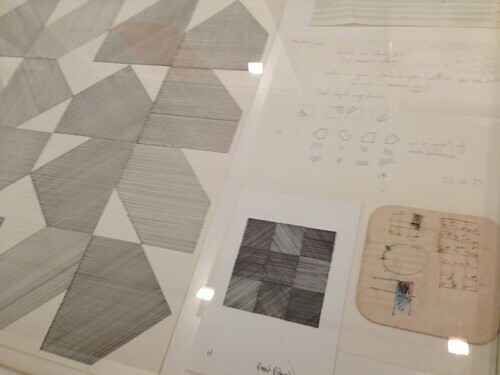 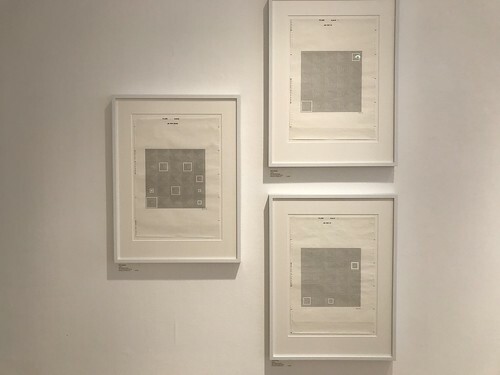 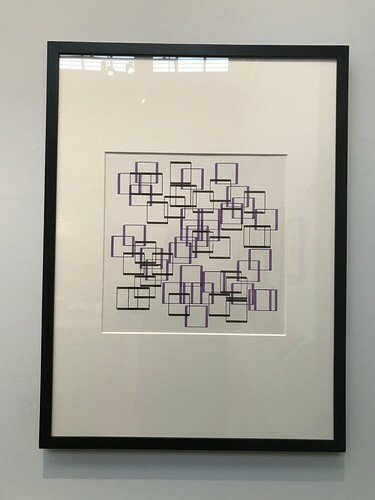 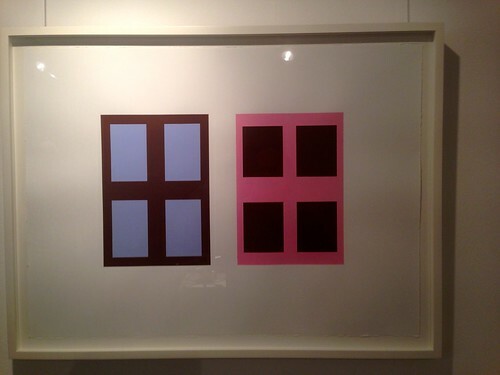 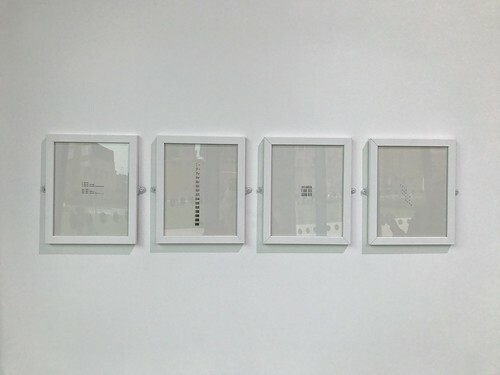 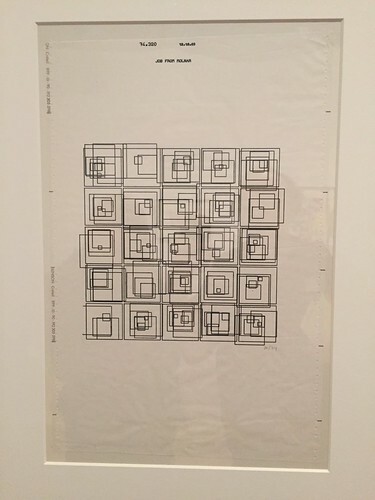 one and zero, Manfred Mohr's first solo exhibition in London, presents a concise survey of his fifty-year practice. 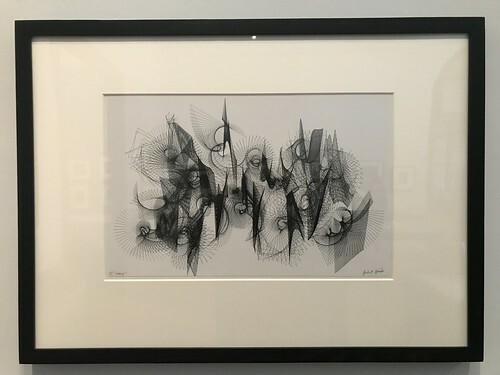 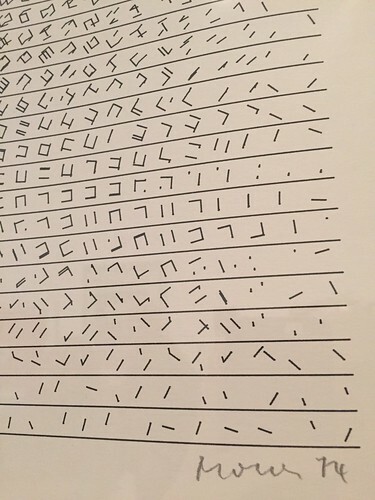 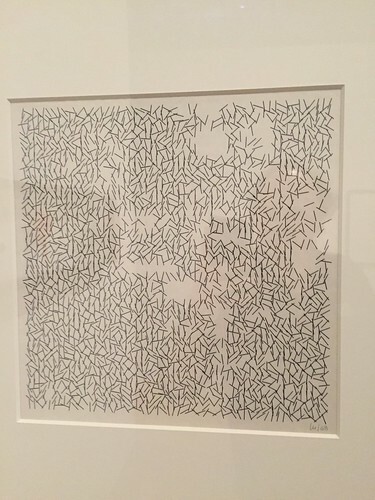 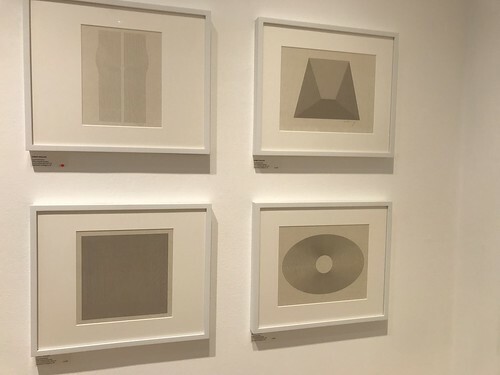 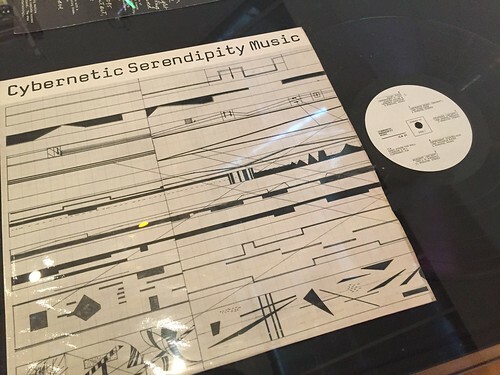 Harnessing the automatic processes of the computer, Mohr's work brings together his deep interest in music and mathematics to create works that are rigorously minimal but with an elegant lyricism that belie their formal underpinnings. 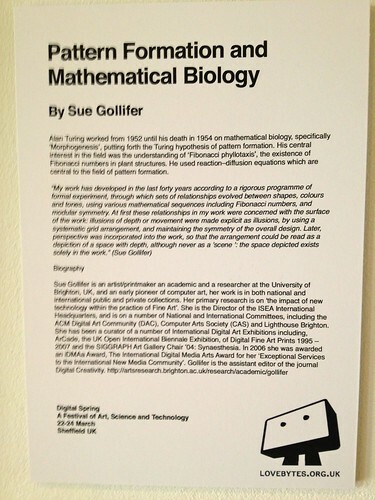 To celebrate the 100th anniversary of the birth of mathematician Alan Turing in 2012, this touring exhibition featured artworks by pioneers of digital art alongside contemporary emerging artists whose work has been strongly influenced by Turing's life and ideas. 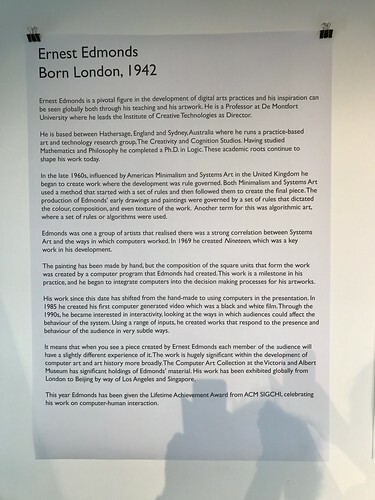 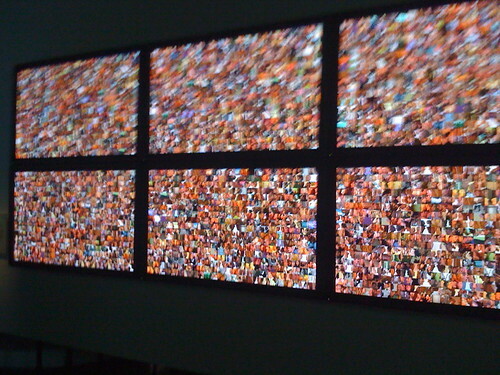 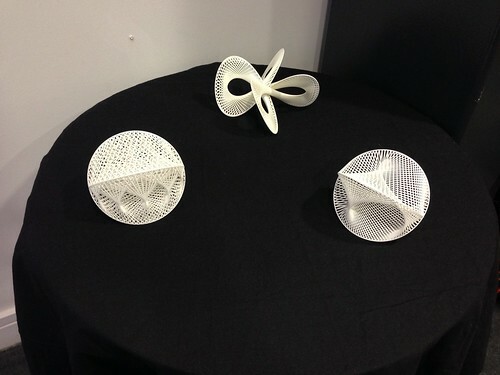 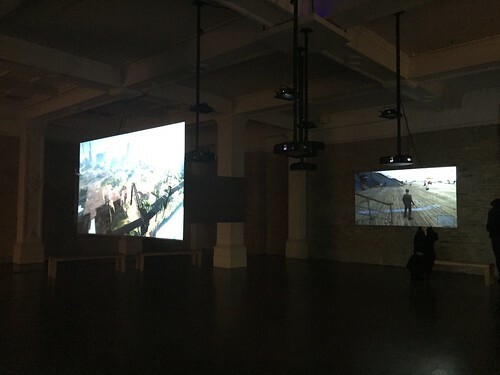 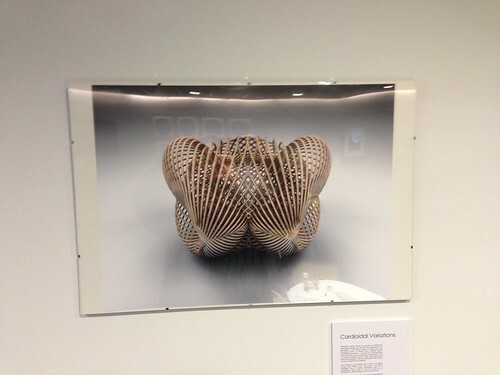 The exhibition was primarily funded by Arts Council England, with additional support from the Computer Arts Society and The University of Hertfordshire. 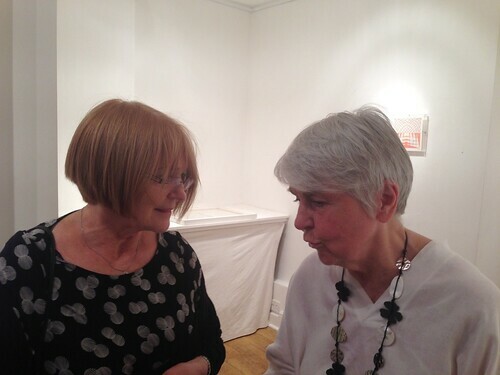 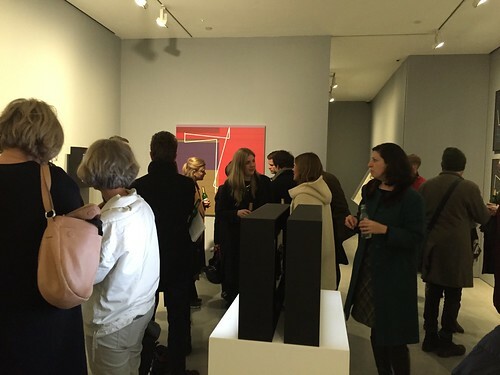 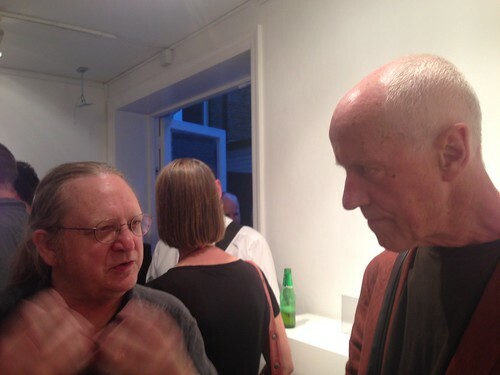 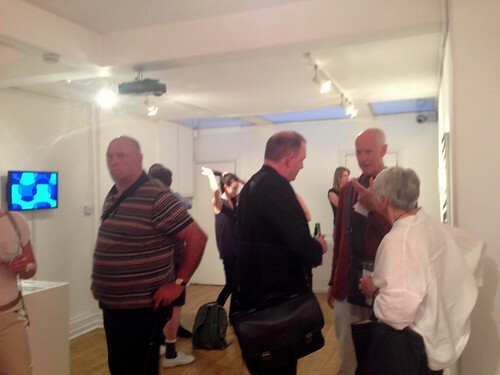 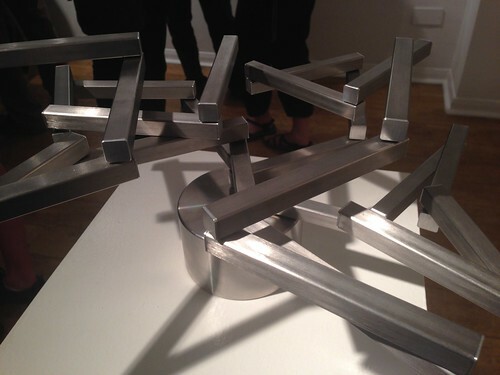 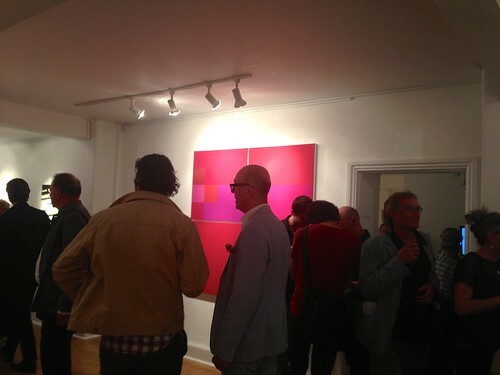 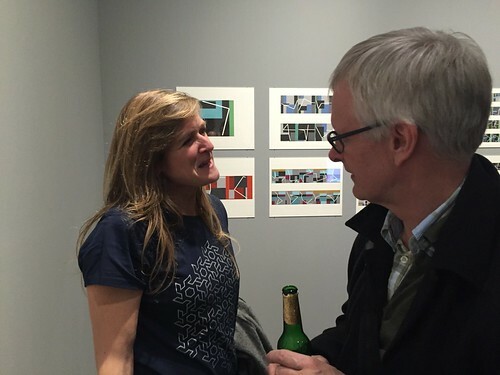 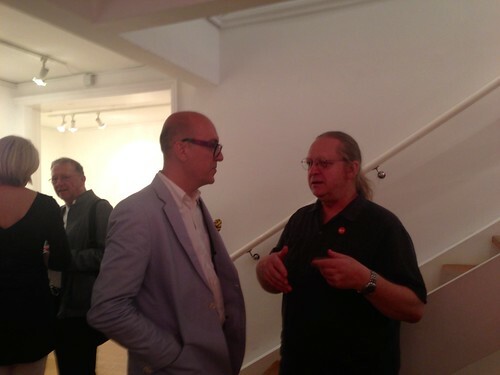 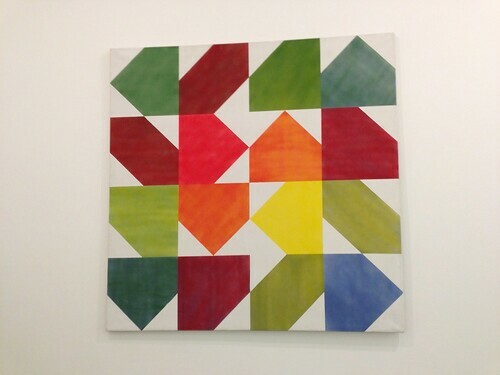 The exhibition was curated by Anna Dumitriu, Sue Gollifer and Nick Lambert. 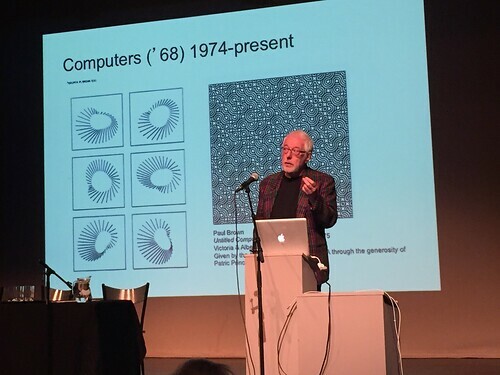 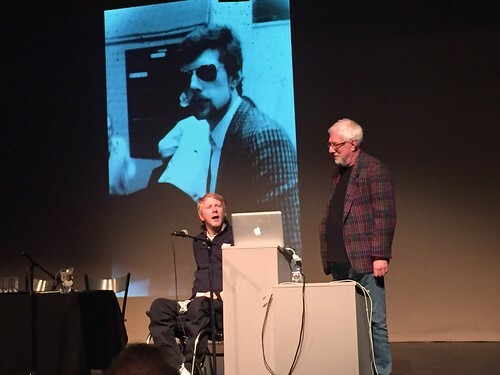 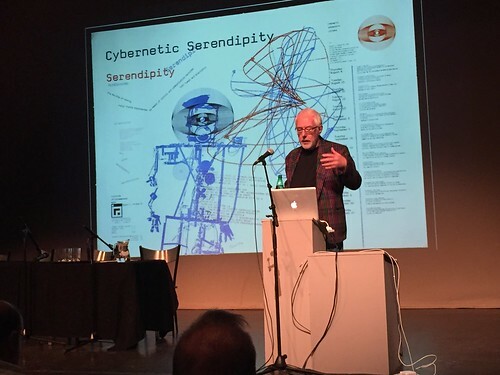 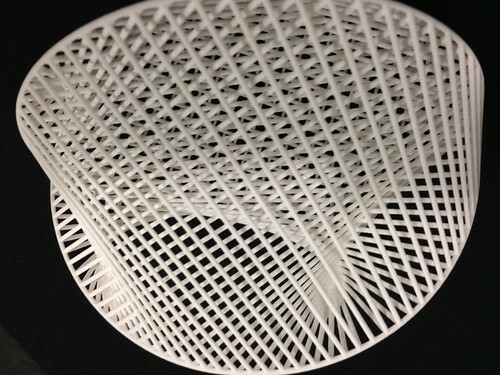 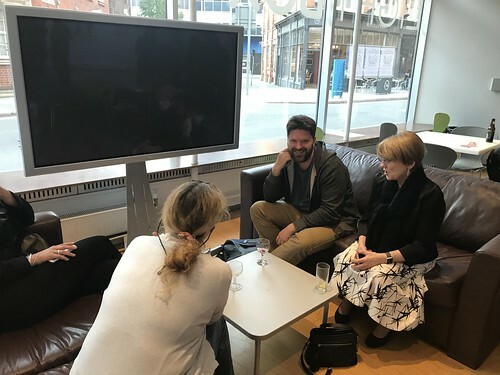 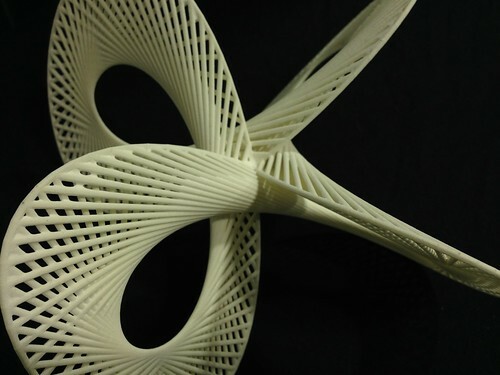 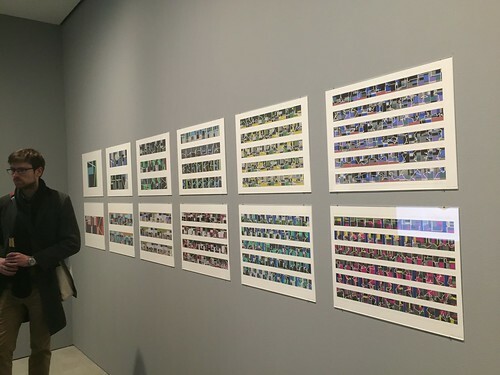 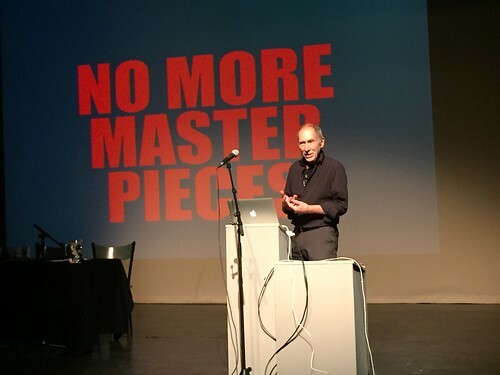 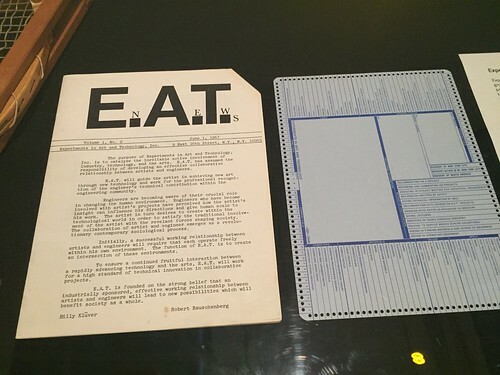 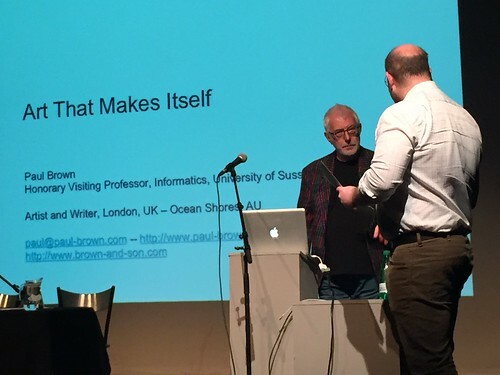 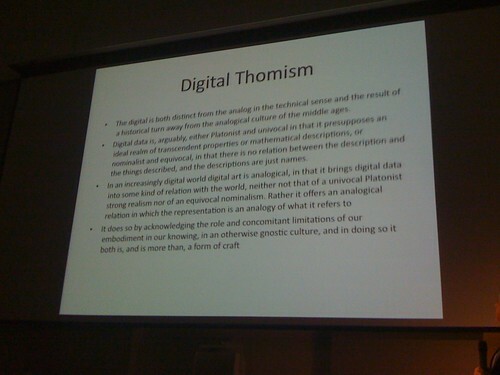 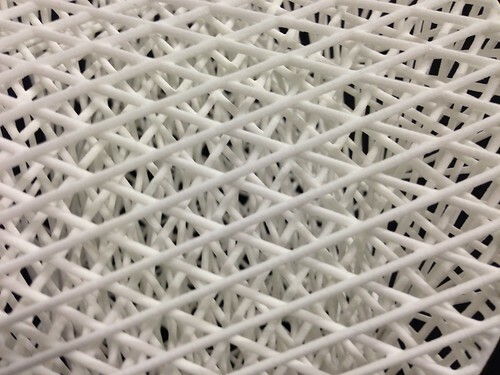 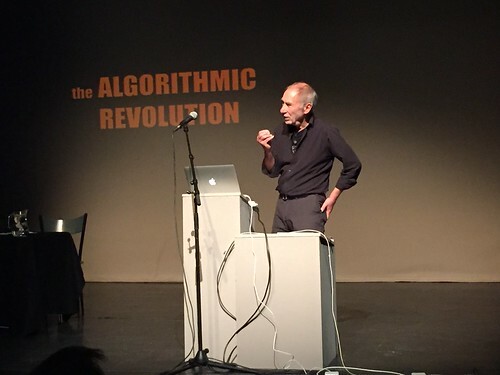 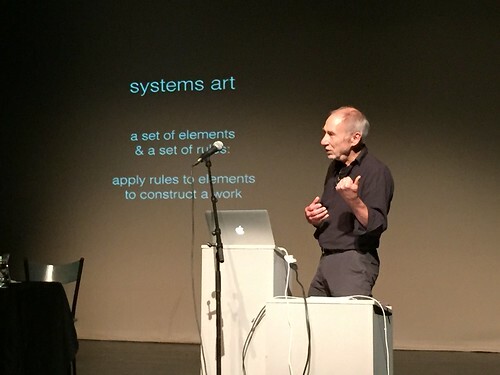 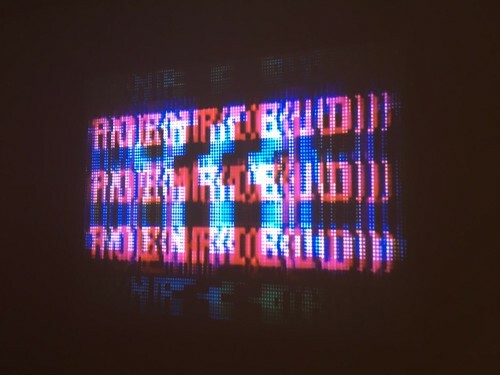 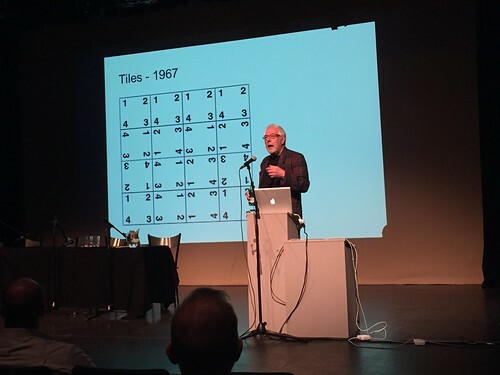 A rare opportunity to hear a dialogue between contemporary digital practice and historical collections within the world of digital and computer generated art and design. 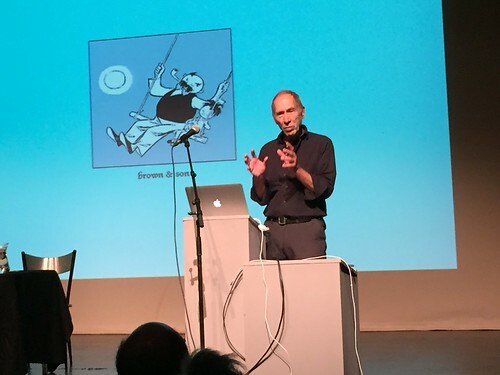 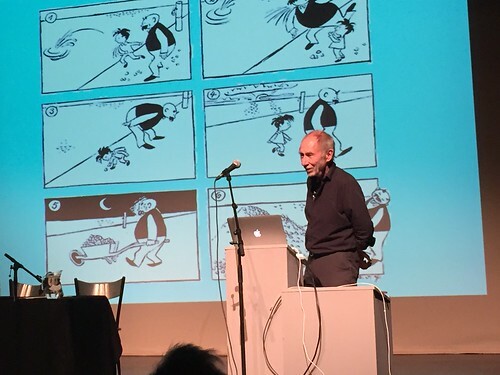 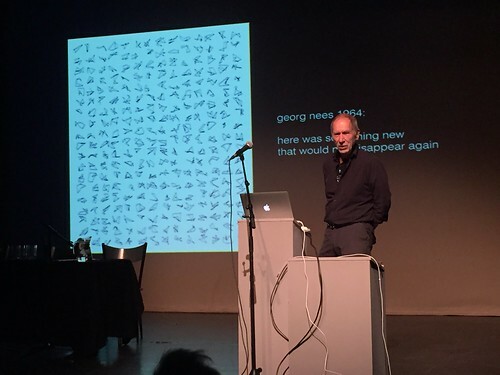 Speakers include artist Frieder Nake and writer Edward Shanken, with theorists Charlie Gere and Beryl Graham. 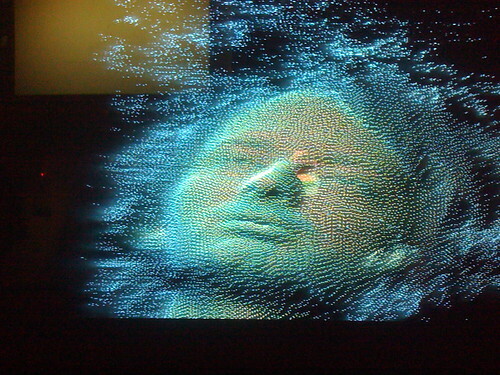 Many intriguing concepts have emerged in Computer Art over the past 50 years. 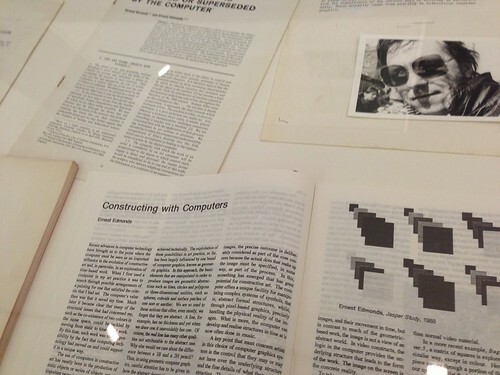 Some have been brought to light in the archives examined by the CAT and CACHe Projects. 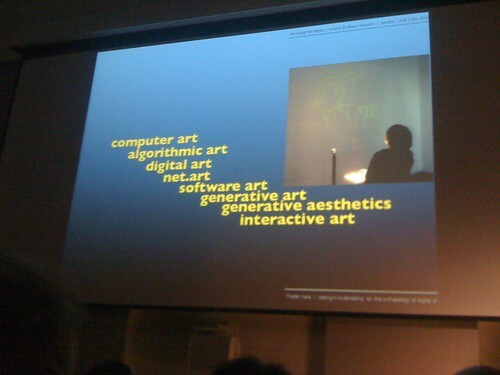 Speakers from all areas of Computer Art, including practitioners, curators and historians, discussed the past, present and future of this area. 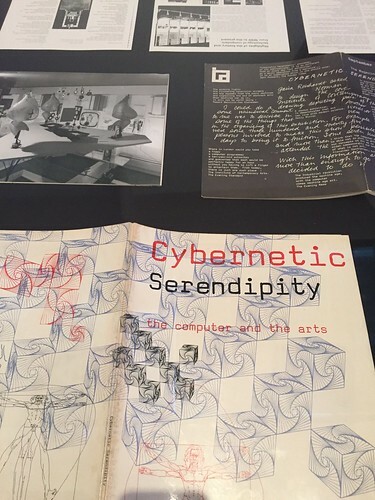 This display provided an overview of the first decades of the computer's history in art and design. 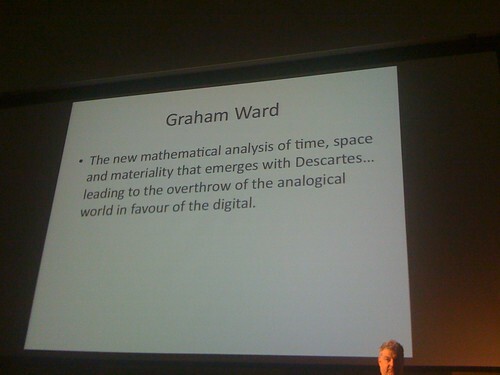 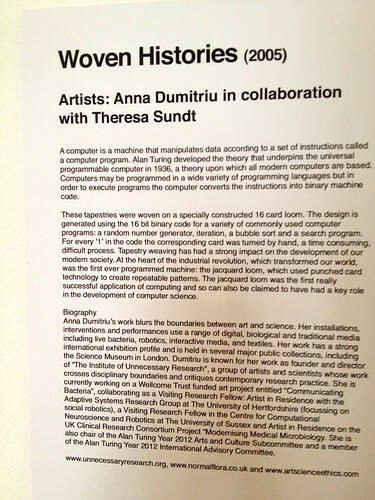 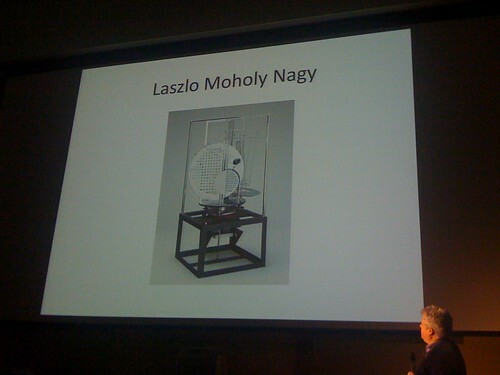 It includes some of the earliest computer-generated works in the V&A's collections, many of which have never been exhibited in the UK before.